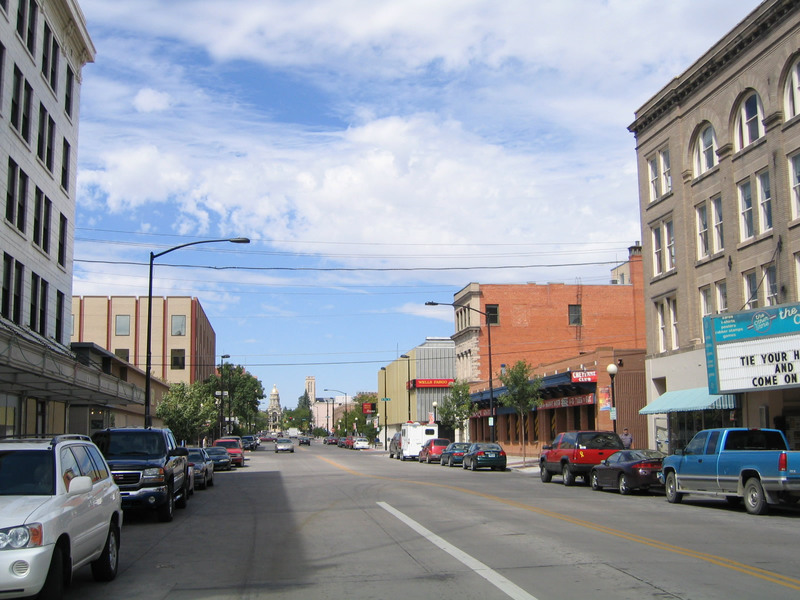 Home to 59,466 people as of the 2010 Census, the city of Cheyenne ("Magic City of the Plains") sits on the semi-arid high plains east of the Rocky Mountains at an elevation of 6,062 feet above sea level. 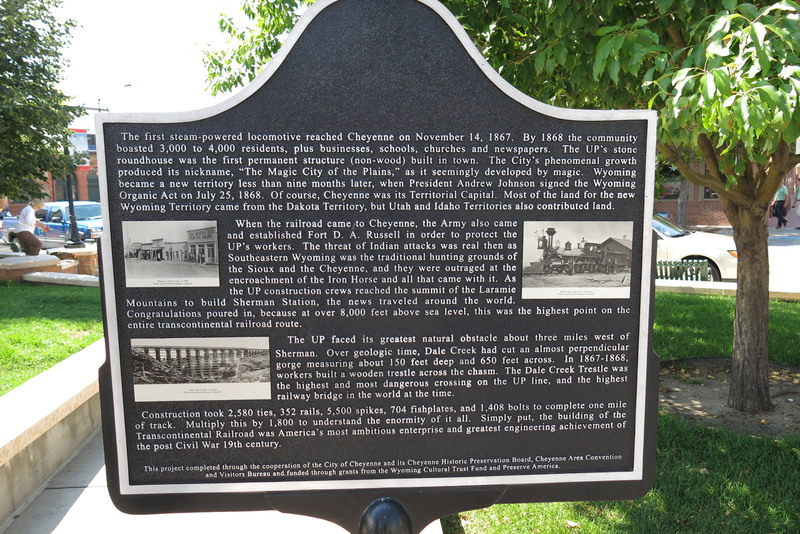 The site where Cheyenne now rests was founded in June 1867 along Crow Creek where the railroad was planned to cross. 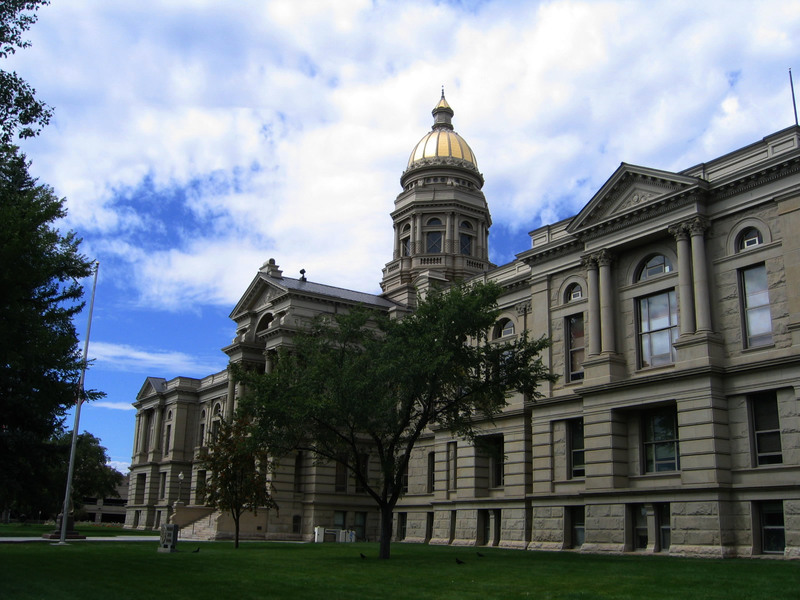 Cheyenne is not only the state capital of Wyoming and the state's largest city, but it is also home to a large military installation, F.E. Warren Air Force Base as well as the Wyoming National Guard. Fort David A. Russell, which predated the modern air force base, established the long standing military presence here. Cheyenne, which means "alien" or "people of foreign language," was named after the large Indian nation found in the Central U.S. Great Plains region. 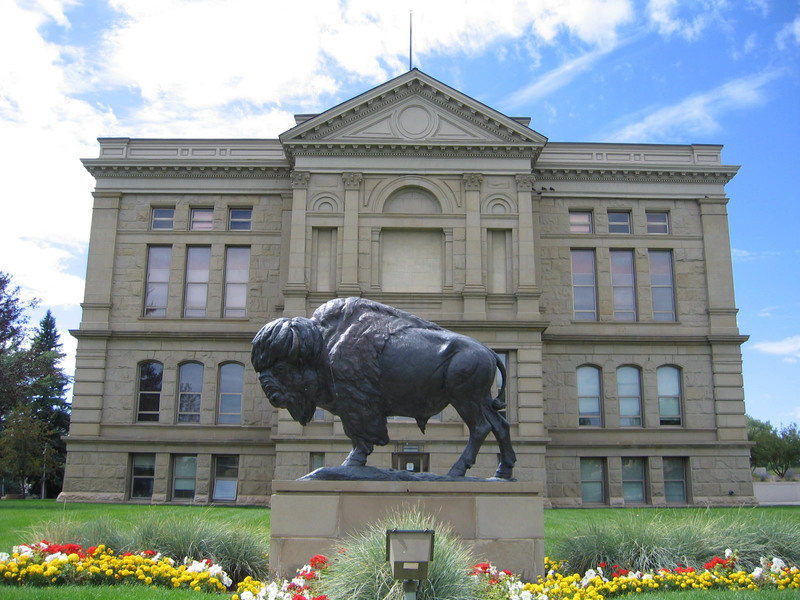 The Wyoming capitol building was constructed between 1886 and 1890, which is when Wyoming itself achieved statehood. Resource-based energy development is found all over Wyoming, and Cheyenne is no exception: It has a growing wind power industry in the area. 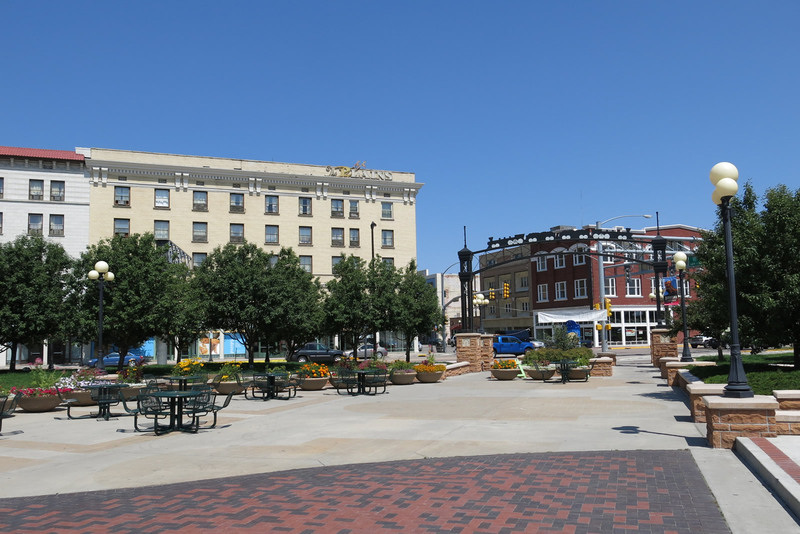 Cheyenne also has a strong transportation basis; the Union Pacific Railroad passes through town only ten blocks south of the state capitol, and a large oil refinery is located near Nationway east of downtown. The north-south Burlington Northern and Santa Fe Railroad also passes through the area; it travels north toward the Powder River Basin (Wright and Gillette) and its rich coal producing mines. Two major freeways and their companion U.S. routes, Interstate 25 (U.S. 87) and Interstate 80 (U.S. 30), directly serve Cheyenne, while a spur route (Interstate 180) enters the downtown area from the south via the U.S. 85/Central Avenue corridor. U.S. 85 travels somewhat southeast toward Greeley, Colorado, and northeast toward Torrington, Lusk, Newcastle, and the Black Hills region. 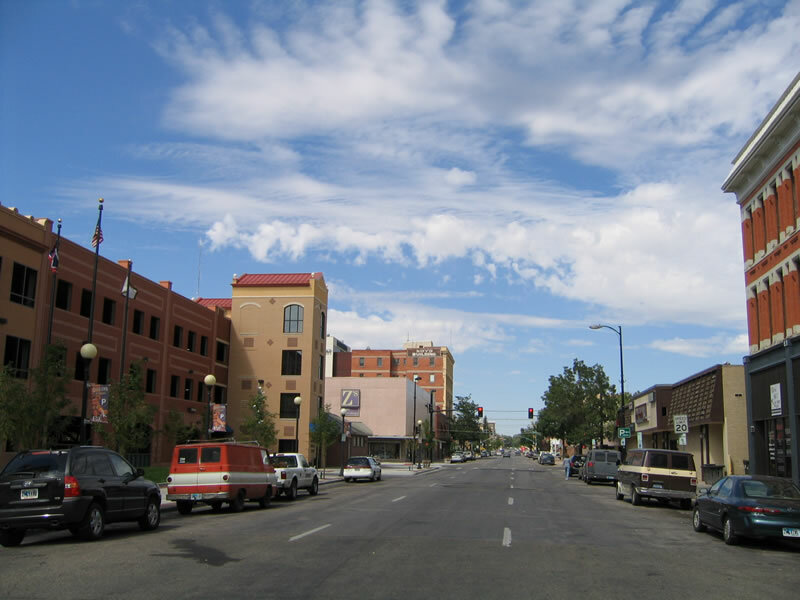 Cheyenne is considered to be the northernmost city along the fast-growing, multi-million population Front Range, which is generally accepted to extend south to Pueblo, Colorado. 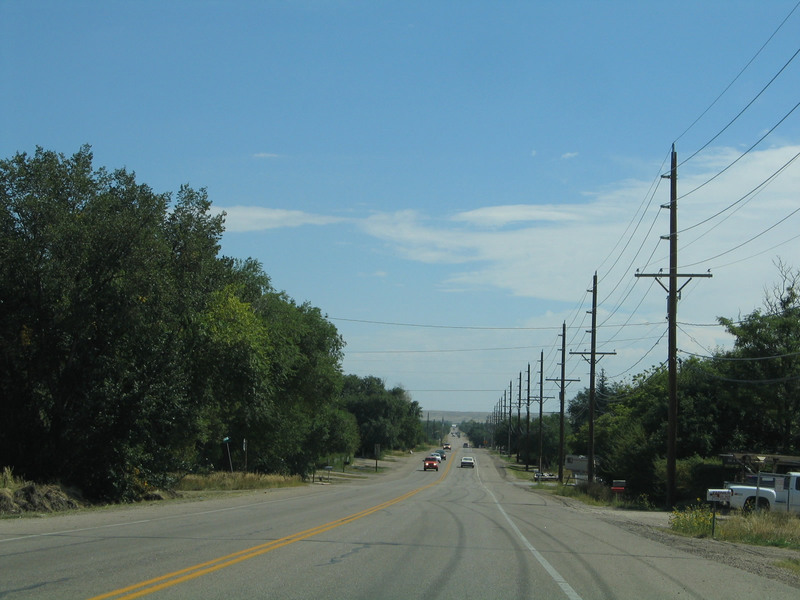 Two major Interstate highways serve the metropolitan area of Cheyenne. Interstate 25 and Interstate 80 travel the state of Wyoming north-south and east-west respectively. They generally follow the paths of U.S. 30 and U.S. 87 respectively. 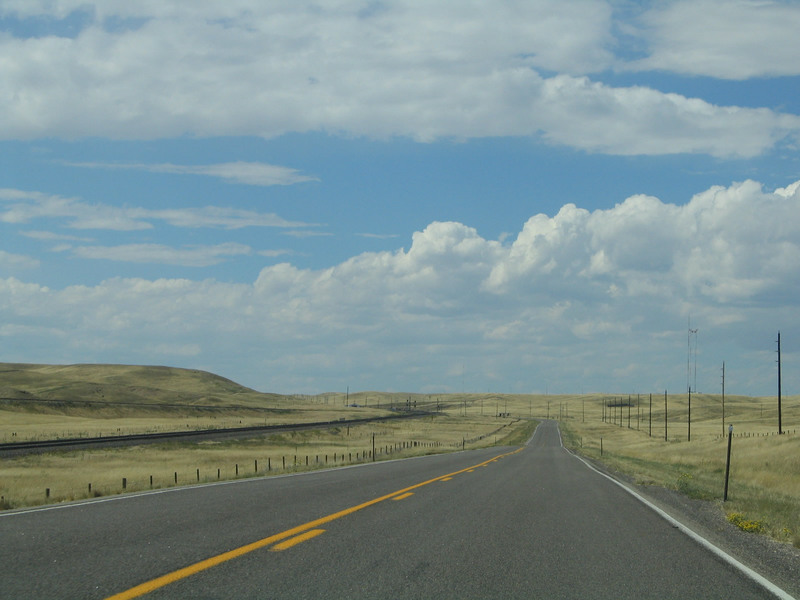 To the north, Interstate 25 travels to Chugwater, Wheatland, Douglas, Glenrock, Casper, Kaycee, and ultimately Buffalo, where it meets Interstate 90. 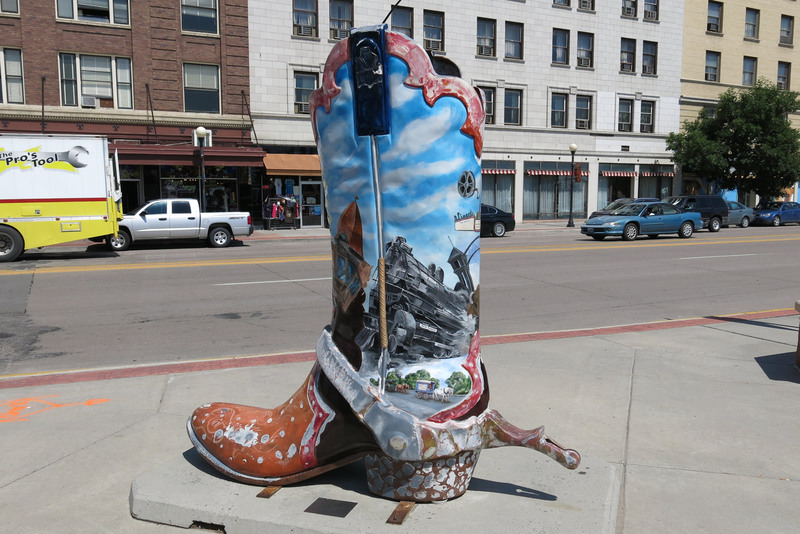 A connection via Wyoming 59 links Cheyenne with Gillette and northeastern Wyoming. To the south, Interstate 25 connects into the Colorado Front Range region, which includes Fort Collins, Denver Colorado Springs, and Pueblo. South of there Interstate 25 proceeds into new Mexico, serving Santa Fe and Albuquerque before terminating in Las Cruces, just shy of El Paso, Texas. 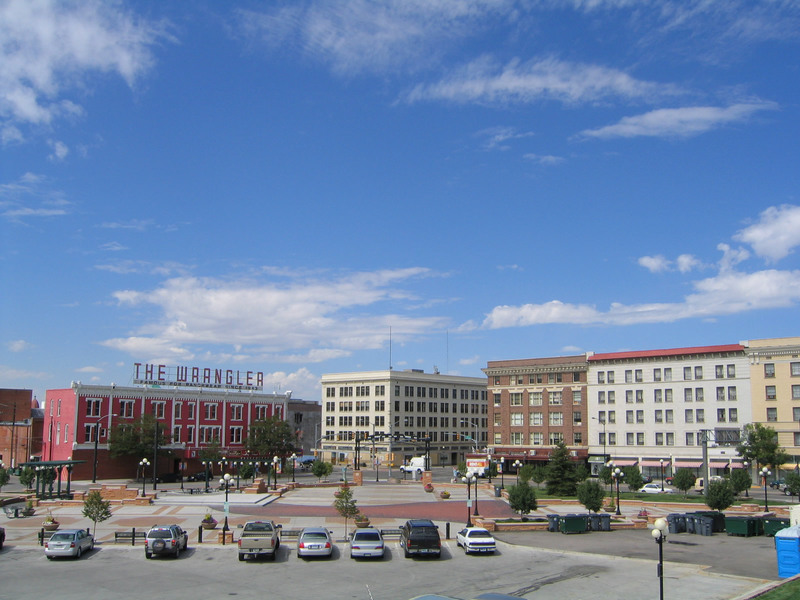 Interstate 25 generally stays west of downtown Cheyenne, but Central Avenue serves as the principal business route into the city from the north (signed as Business Loop I-25 and Business U.S. 87). 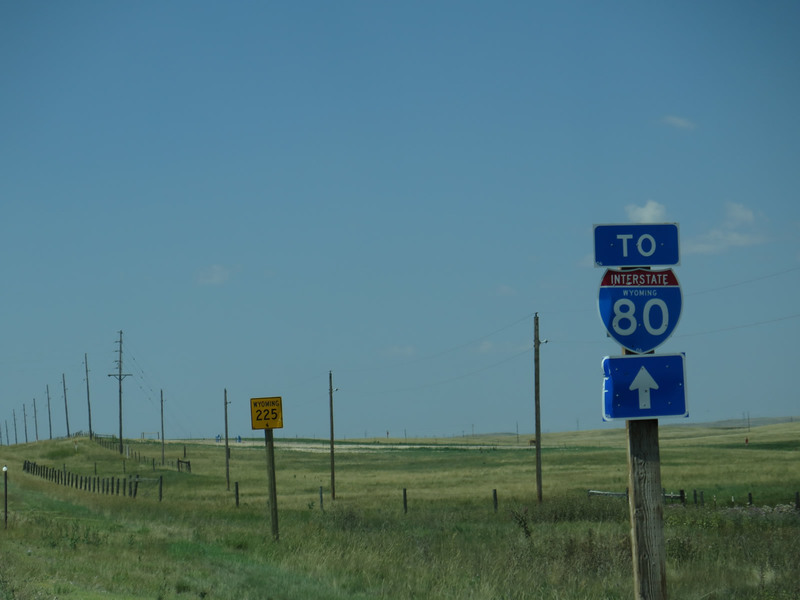 Interstate 80 is a major east-west transcontinental Interstate highway. Starting in San Francisco, California, Interstate 80 travels across 11 states to culminate its journey in Fort Lee, New Jersey, near the foot of the George Washington Bridge leading into New York City, New York. The second-longest Interstate highway, Interstate 80 generally follows historic U.S. 40 across California, Nevada, and Utah, and it joins the U.S. 30 and Lincoln Highway corridor in Wyoming. 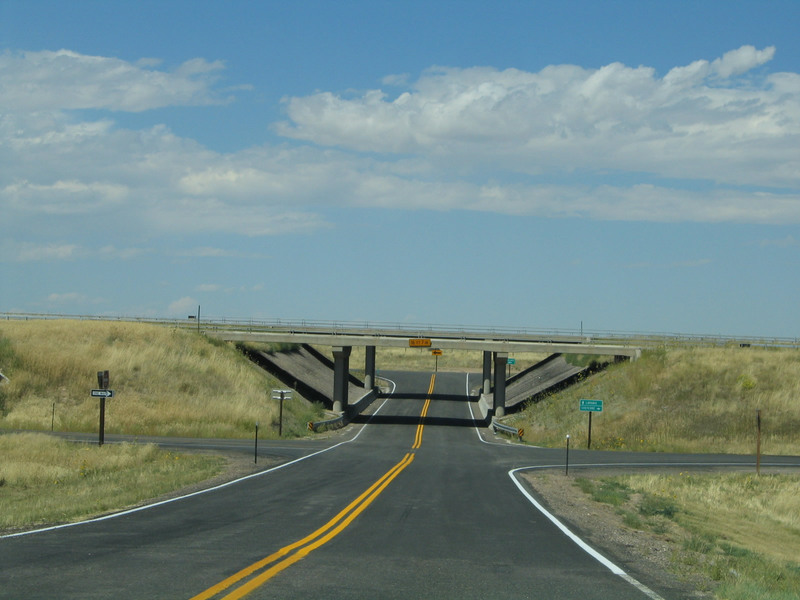 (The link between U.S. 40 in Utah and U.S. 30 in Wyoming is made by Interstate 80 replacing old U.S. 189 [and even older U.S. 530] and U.S. 30S through a portion of northern Utah and southwestern Wyoming; neither U.S. 30S nor U.S. 530 exist today.) 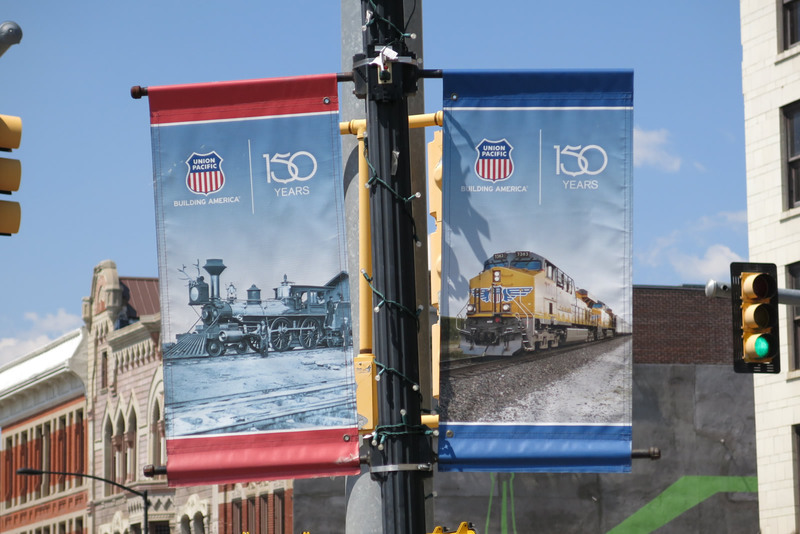 Wyoming travels alongside the Union Pacific Railroad for much of its route in Wyoming, connecting cities that owe their heritage not only to the Lincoln Highway but also to the transcontinental railroad that carries goods across the Continental Divide. Reaching Cheyenne, Interstate 80 and U.S. 30 divide, with Interstate 80 acting as a freeway bypass (marginal) to the south of the city center and U.S. 30 following the railroad directly into the city center along Lincolnway (signed as Business Loop I-80 and U.S. 30). One spur Interstate route serves Cheyenne: Interstate 180 connects Interstate 80 with downtown Cheyenne via U.S. 85/Central Avenue. Interstate 180 is unique among the Interstate Highway System for having no freeway segment; instead, it is an expressway configuration with a series of traffic signals along Central Avenue between Interstate 80 and U.S. 30/Lincolnway (Business Loop I-80). The connection with Interstate 80 is not even a high-speed interchange; it is a regular diamond interchange. 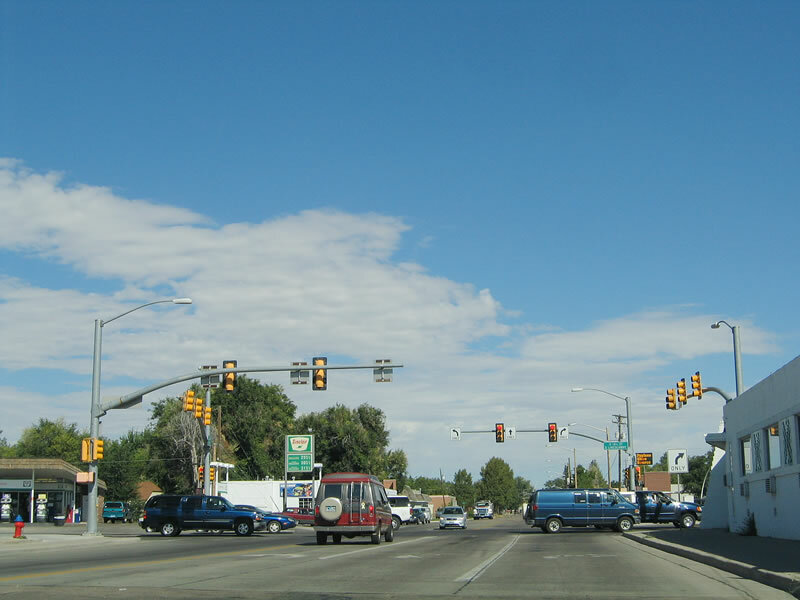 Central Avenue carries four signed routes along this stretch: Interstate 180, U.S. 85, Business Loop I-25, and Business U.S. 87. This is the only known roadway signed with an Interstate, Off-Interstate Business Loop, U.S. route, and Business U.S. route. The reason this route is an Interstate is because the improved expressway was constructed using Interstate funds, including the large viaduct that carries the route over the Union Pacific Railroad yard. Cheyenne has three U.S. Highways passing through its metropolitan area, but all of them at one point or another merge onto an Interstate highway. U.S. 30 follows Business Loop I-80/Lincolnway through downtown, connecting with Interstate 80 at either end. This major, transcontinental U.S. route extends from Astoria, Oregon east to Atlantic City, New Jersey. 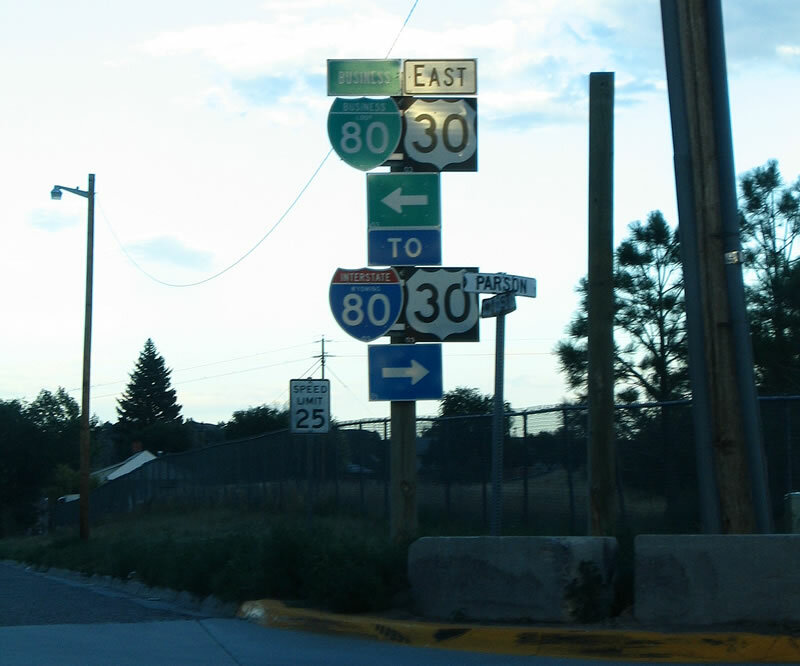 In Wyoming, U.S. 30 enters the state from Idaho, connecting with Kemmerer before joining with Interstate 80 at Exit 66. U.S. 30 and Interstate 80 share pavement from that point east to Green River and Rock Springs, and then they cross the Red Desert to link with Wamsutter and Rawlins. 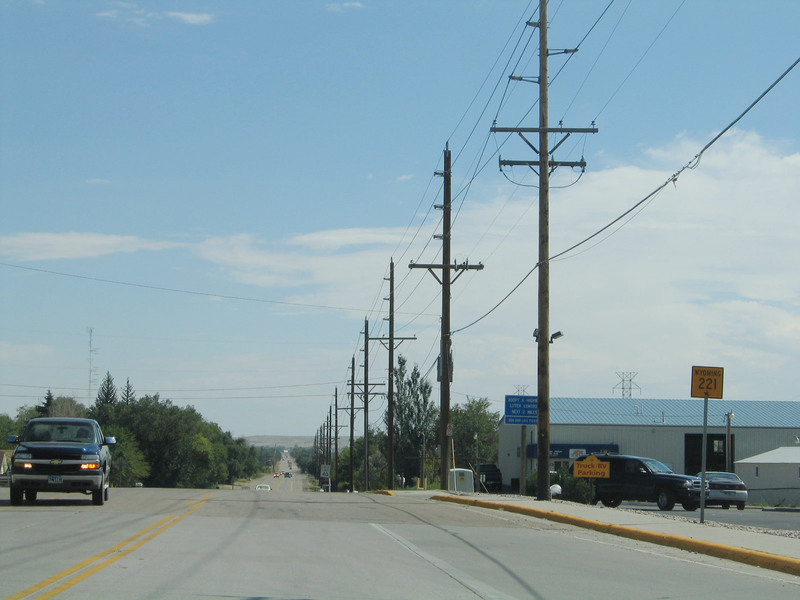 At Walcott Junction, U.S. 30 separates from Interstate 80 to serve Medicine Bow, while Interstate 80 stays closer to Elk Mountain. The routes merge again at Laramie, and they travel up Telephone Canyon and over Sherman Hill to descend into Cheyenne. At the West Lincolnway interchange, the routes again divide, with Interstate 80 bypassing the city center to the south and U.S. 30 passing directly through the city via Lincolnway. U.S. 30 and Business Loop I-80 pass Little America, then proceed parallel to the Union Pacific Railroad tracks into the central business district. They merge back together east of town, and they remain merged until the Nebraska state line. U.S. 30 and Interstate 80 have separate alignments from there east across Nebraska, but they closely parallel one another as they travel toward Sidney, Ogallala, North Platte, Kearney, and Grand Island. Former Alternate U.S. 30 appears to have been signed along Nationway (now a city street) in the 1970s and possibly into the 1980s until Interstate 80 was completed on its current alignment. 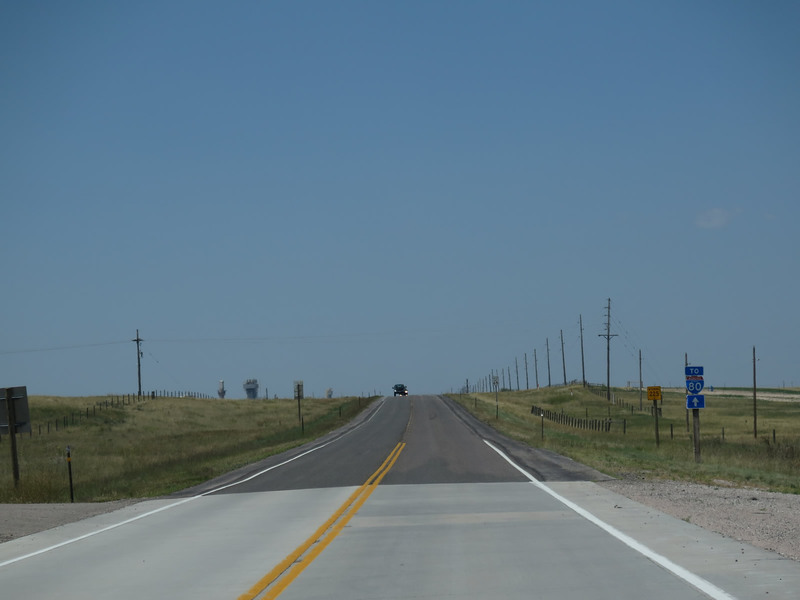 Nationway is a four-lane expressway, and it may have served as an interim highway east of downtown Cheyenne until Interstate 80 was completed; this likely helped to keep traffic off Lincolnway while the permanent freeway was under development. 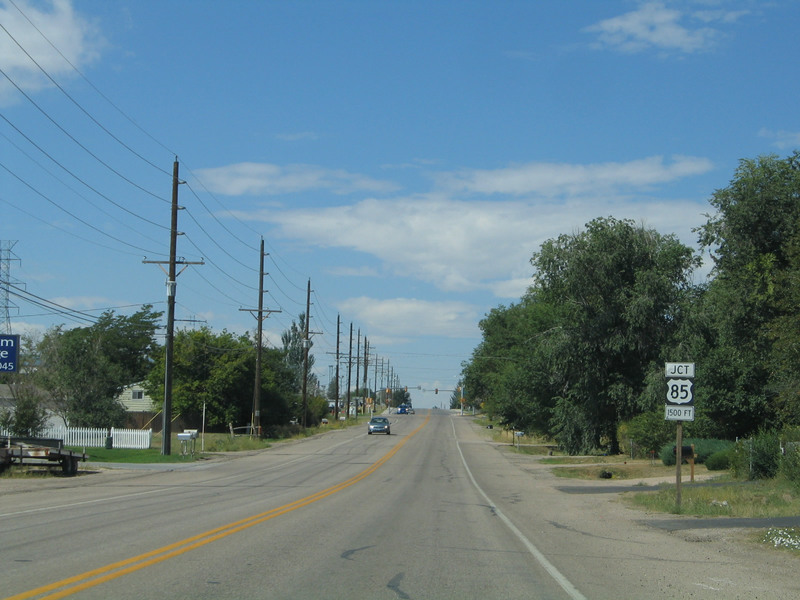 U.S. 85 enters the state of Wyoming just south of the Cheyenne metropolitan area; it starts as Greeley Highway and becomes Central Avenue. 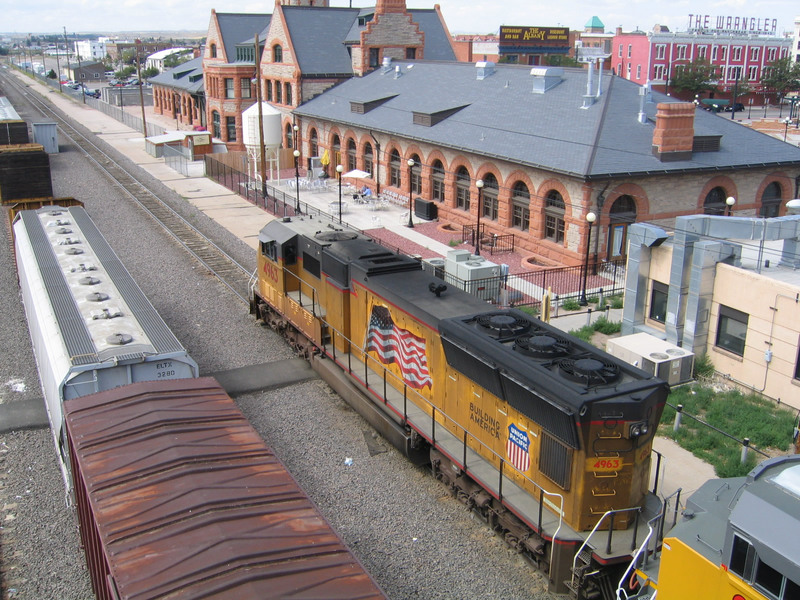 It approaches Cheyenne from the south, picking up Business Loop I-25 and Business U.S. 87, then adding Interstate 180 for about a mile approaching the city center. 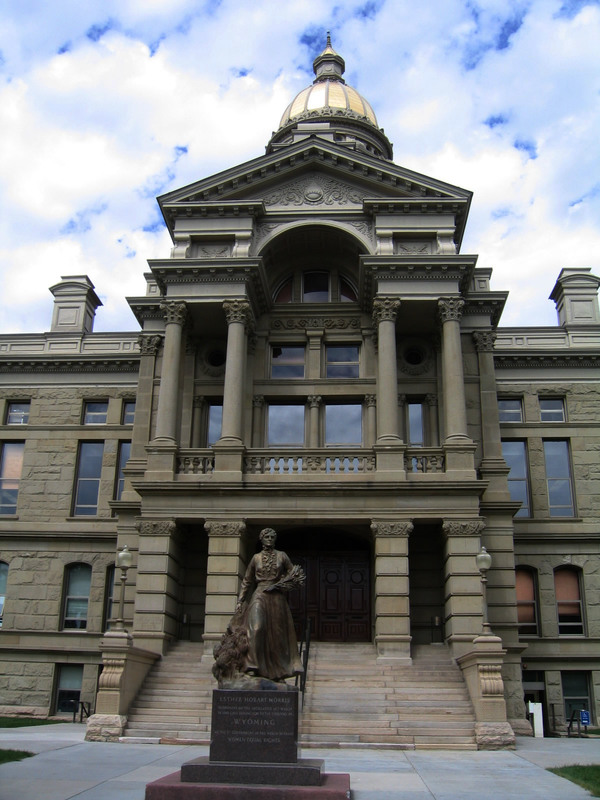 After meeting Lincolnway (U.S. 30 and Business Loop I-80), U.S. 85 then continues along the Central Avenue and Warren Avenue one-way couplet through downtown and past the state capitol complex, eventually merging into Interstate 25. 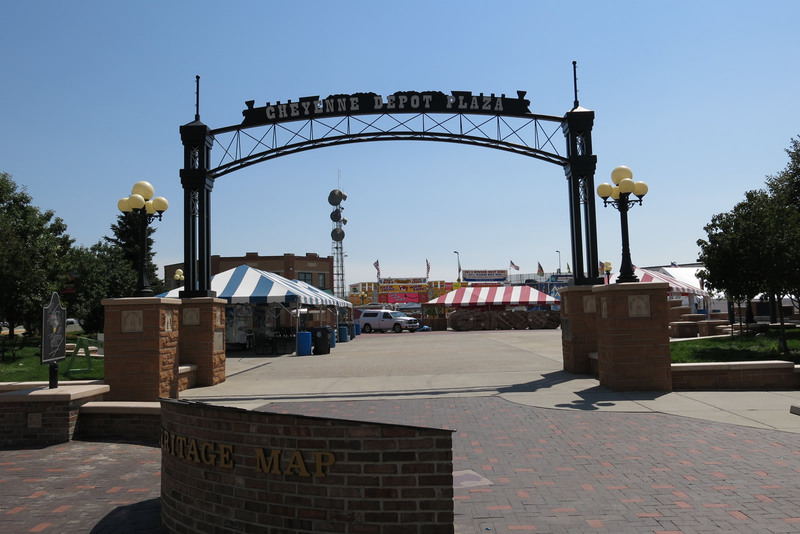 A few miles north of there, U.S. 85 eventually splits away from Interstate 25 and U.S. 87 north of the metropolitan area, heading north to serve cities such as Torrington, Lusk and Newcastle before entering South Dakota in the Black Hills region. 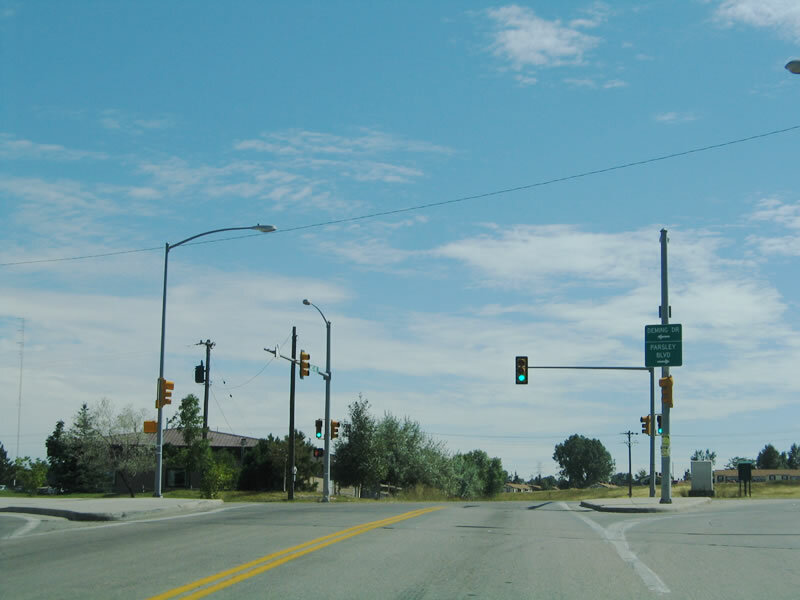 The split from Interstate 25 and U.S. 87 north of Cheyenne is the final time U.S. 85 connects to those routes on its northbound journey; they had been linked together in some manner since New Mexico. 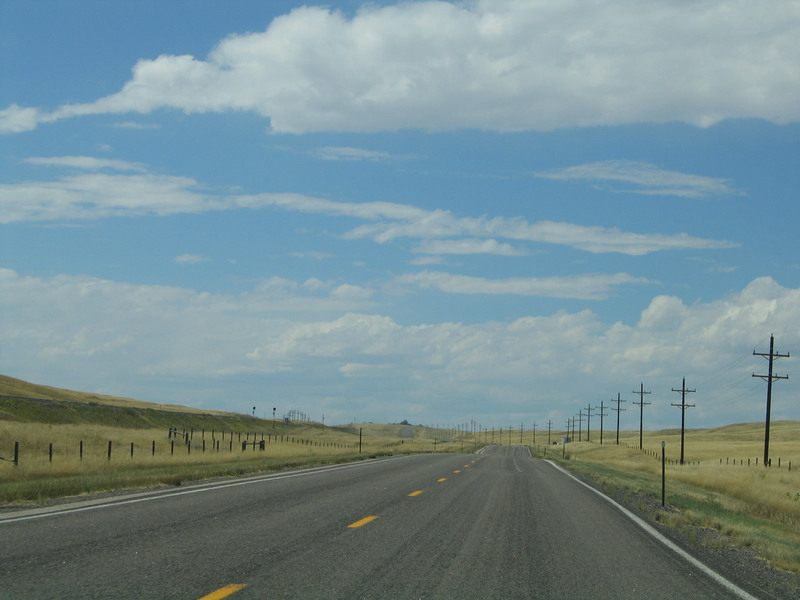 U.S. 87 also serves Cheyenne, but it stays on Interstate 25 for its entire route through Cheyenne and Laramie County. In fact, U.S. 87 generally stays on the Interstate 25 freeway from Cheyenne north to Buffalo (with one exception between Glenrock and Casper where U.S. 20-26-87 travel on their own alignment away from the Interstate); from there, U.S. 87 is merged with or closely follows Interstate 90 up to the Montana state line. 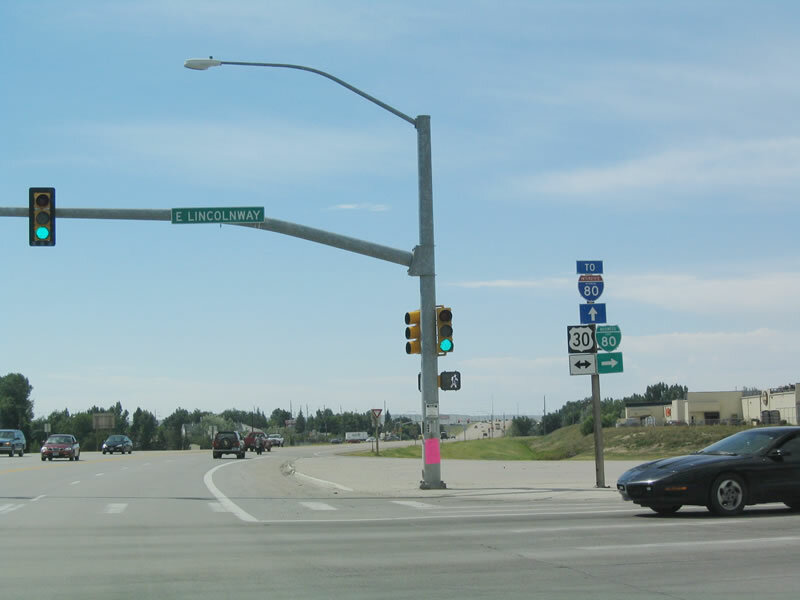 Most instances of Business Loop I-25 in Wyoming are also signed as Business U.S. 87, and two extant segments separate from either Interstate 25 or Interstate 90 (between Glenrock and Casper and again from near Story to Sheridan) remain in existence. Business U.S. 87 is concurrent with Business Loop I-25 along Central Avenue and Warren Avenue in Cheyenne. Wyoming 210 - Happy Jack Road: This east-west state highway originates at Interstate 80 and U.S. 30 at the Summit Rest Area (Sherman Hill, at the top of Telephone Canyon, Exit 323). It works its way east through the Pole Mountain Unit of Medicine Bow-Routt National Forest in Albany County, then crosses into Laramie County and connects to Curt Gowdy State Park (Granite Springs and Crystal Reservoirs). Wyoming 210 gradually descends from there to meet Interstate 25 at the Missile Drive interchange (Exit 10D). Wyoming 211 - Horse Creek Road: This north-south state highway originates at Wyoming 219/Yellowstone Road north of Cheyenne's city limits and travels west to intersect Interstate 25 and U.S. 87 (Exit 16). Wyoming 211 then travels northwest along Horse Creek Road to serve rural areas along Horse Creek and the Burlington Northern and Santa Fe Railroad. It serves the small communities of Federal, Horse Creek, and Iron Mountain. 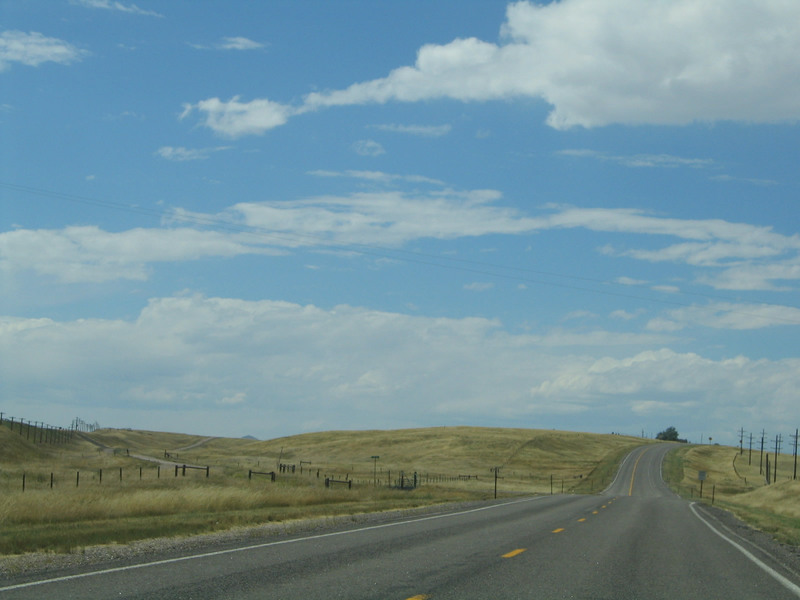 A portion of the route is unpaved from near the Laramie-Platte County line and a point just west of Chugwater, where Wyoming 211 merges back with Interstate 25 and U.S. 87. Wyoming 212 - College Drive, Four Mile Road: This partial beltway extends from Interstate 25 Exit 7 as College Drive, also carrying Business Loop I-25 and Business U.S. 87 for the first mile or so. Wyoming 212 transfers the business routes onto U.S. 85/Greeley Highway (Central Avenue), then continues east until Laramie County Community College, where it curves north to meet Interstate 80 at Exit 364. Wyoming 212 briefly gains Business Loop I-80, which transfers onto Lincolnway (U.S. 30) less than a mile north of the freeway interchange. From there, Wyoming 212 proceeds north along College Drive past Dell Range Boulevard, then eventually curves west at a point north of Summit Drive and east of Ridge Road. Wyoming 219 changes into Four Mile Road, which travels west to Wyoming 219/Yellowstone Road (Old U.S. 85-87) and ultimately the Interstate 25 East Service Road (Hynds Boulevard), where it ends just north of the Vandehei Interchange (Exit 13). Wyoming 219 - Yellowstone Road: This north-south road begins at Business Loop I-25, U.S. 85, and Business U.S. 87/Central Avenue near the Cheyenne Airport and travels north to meet U.S. 85 near Interstate 25 Exit 17. Wyoming 221 - Fox Farm Road: This east-west state road connected Business Loop I-25, U.S. 85, and Business U.S. 87/Central Avenue just south of the Interstate 80 interchange with Wyoming 212/College Drive. The state highway was decommissioned in 2009, and Fox Farm Road is now maintained locally. 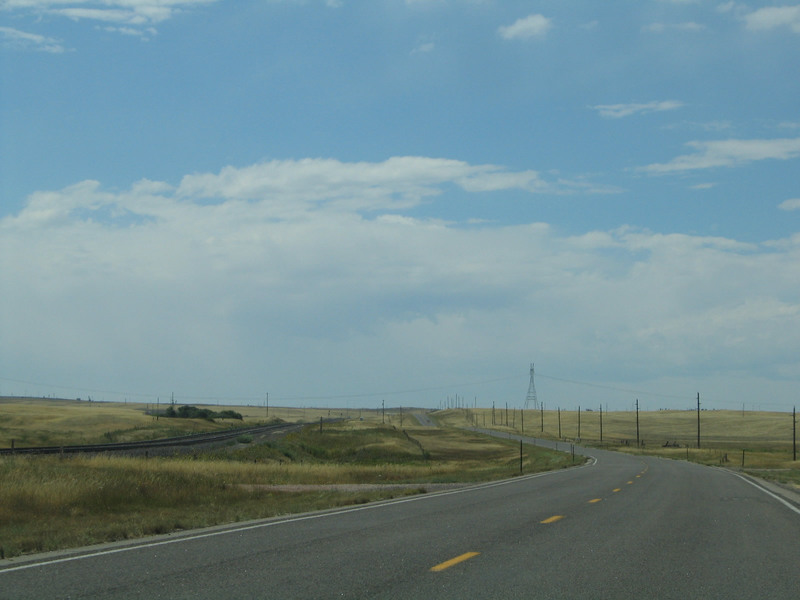 As of 2014, the majority of the former state route is located outside of the city of Cheyenne, so it is likely maintained by Laramie County. Wyoming 222 - Round Top Road: This north-south state highway travels from Wyoming 225/Otto Road (Historic U.S. 30/Lincoln Highway) southwest of Cheyenne and travels north past Interstate 80 Exit 357 (near the Wal-Mart distribution center) to Wyoming 210/Happy Jack Road. While state maintenance ends at the Wyoming 210 intersection, Round Top Road proceeds north alongside the western edge of F.E. Warren Air Force Base, connecting to the High Plains Arboretum (former Cheyenne Horticultural Field Research Station). North of the horticultural facility (access via Hildreth Road), the roadway changes to gravel, but it does connect as a locally maintained road to Wyoming 211/Horse Creek Road. Wyoming 223 - Terry Ranch Road: This very short, east-west state highway connects Interstate 25 with U.S. 85/Greeley Highway south of downtown. 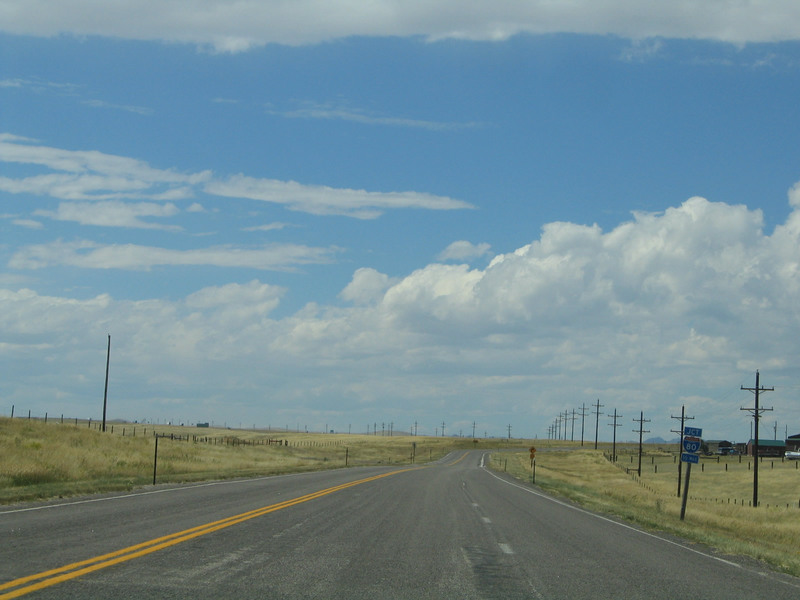 The state highway begins at Interstate 25 and U.S. 87 Exit 2, and it travels northwest to meet U.S. 95. 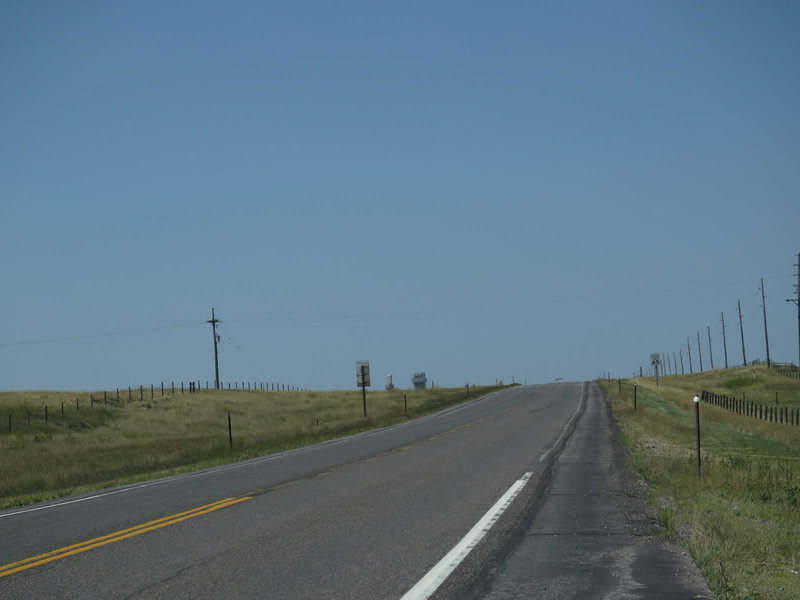 Before it was rerouted onto Interstate 25, Wyoming 223 was the old alignment of U.S. 87 and used to be part of the main route from Fort Collins to Cheyenne. Wyoming 223 is named for Terry Ranch, which is famous for its bison herds often visible from Interstate 25 and/or Wyoming 223. Wyoming 224 - Central Avenue and Wyoming Department of Transportation Headquarters Driveway: This very short, east-west/north-south state highway serves as the entrance to the Wyoming Department of transportation headquarters located off Interstate 25 at the Central Avenue interchange (Exit 12). The state highway is not signed, but it appears to extend from the interchange west to the marked driveway into the headquarters, then proceeds south into the complex. Wyoming 225 - Otto Road: This east-west state highway is old U.S. 30/Lincoln Highway between Interstate 80 Exit 348 and Exit 358. It provides local ranch and industrial access. Wyoming 226 - Missile Drive: This former east-west state highway used to connect Interstate 25 Exit 10D with Business Loop I-80 and U.S. 30/Lincolnway west of Cheyenne. 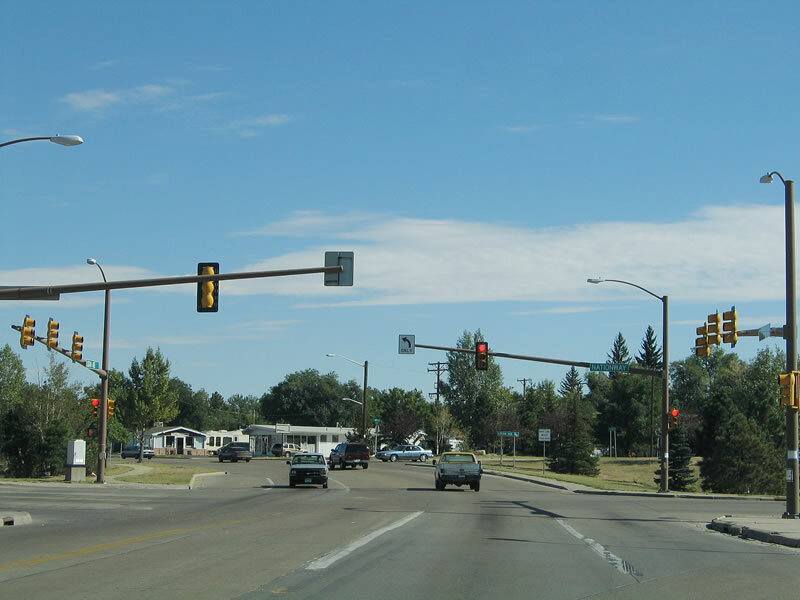 Missile Drive is now maintained by the city of Cheyenne and is the de facto connection between Happy Jack Road and the central business district of Cheyenne. It also links the city with the main entrance to F.E. Warren Air Force Base to the west. 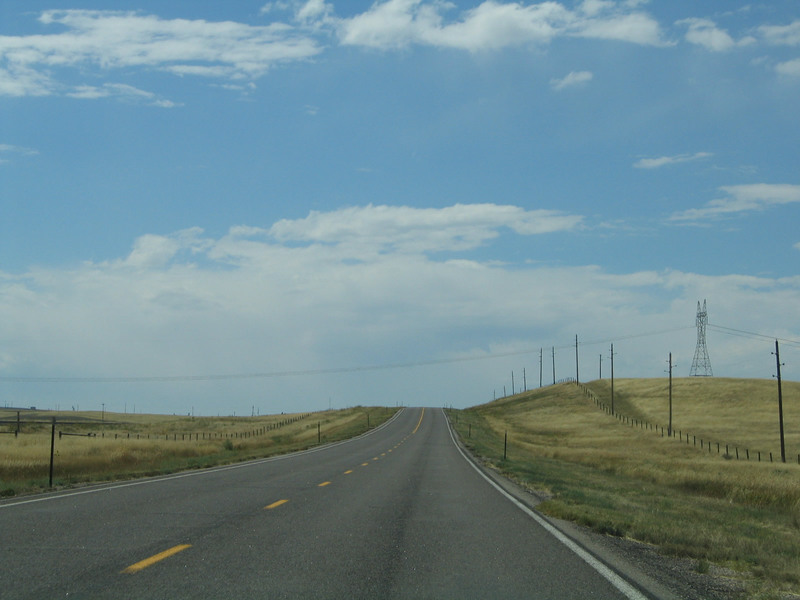 Other state highways that serve Laramie County include Wyoming 213 (Burns Road from Interstate 80 Exit 386 north to Wyoming 216/Albin Road via Burns), Wyoming 214 (Carpenter Road from Chalk Bluffs Road in Carpenter north to Interstate 80 Exit 386), Wyoming 215 (Pine Bluffs-Albin Road from Business Loop I-80 and U.S. 30 in Pine Bluffs north to Wyoming 216 in Albin), and Wyoming 216 (Albin Road from U.S. 85 east to the Nebraska State line near Albin). Two decommissioned state routes in Laramie County were Wyoming 217, which is now Laramie County Route 140, which traveled south from Interstate 80 Exit 377 south to the point where the former state route turned from paved to gravel; and Wyoming 218, which is now Harriman Road (Laramie County Route 102), which traveled south from Interstate 80 Exit 342 southwest toward Harriman near the Colorado State Line. Both of these routes provide local and ranch access; they were returned to local maintenance in 2009. Wyoming 212 forms a three-sided beltway around the northern, eastern, and southern edges of the Cheyenne urban area. On the eastern edge, Wyoming 212 follows College Drive. For a short distance between U.S. 30 (Lincolnway) and Interstate 80, Wyoming 212 is cosigned with Business Loop I-80. Here, southbound Wyoming 212/College Drive meets the intersection with U.S. 30 and Business Loop I-80/Lincolnway east of Cheyenne. Photo taken 09/06/05. 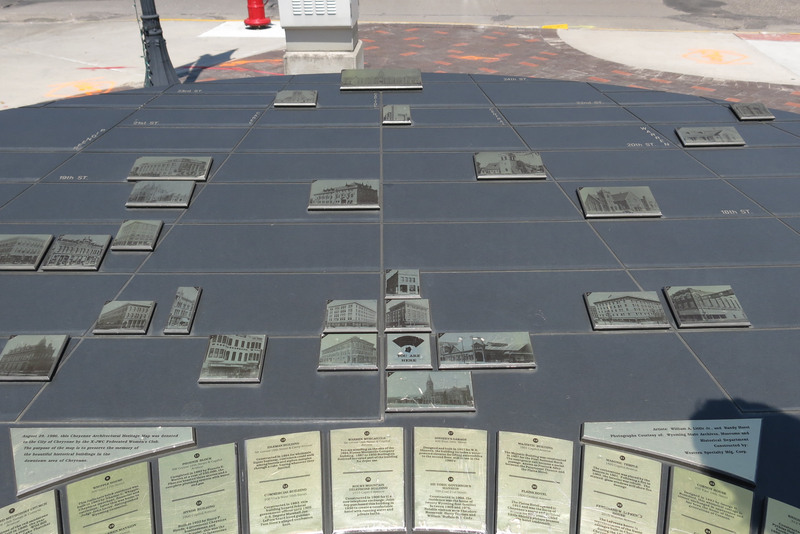 This is a close-up of the trailblazer shields at the Lincolnway intersection on southbound Wyoming 212/College Drive. Note that Business Loop I-80 is signed as "To Interstate 80" on southbound Wyoming 212. Ahead, Business loop I-80 and Wyoming 212 share pavement until the two routes meet Interstate 80. Photo taken 09/06/05. In Pine Bluffs, southbound Wyoming 215 (Albin Road) reaches Business Loop I-80 and Business U.S. 30. Photo taken 09/05/05. This was the first reassurance shield for Wyoming 221 along eastbound Fox Farm Road after the U.S. 85/Central Avenue intersection. Photo taken 09/06/05. 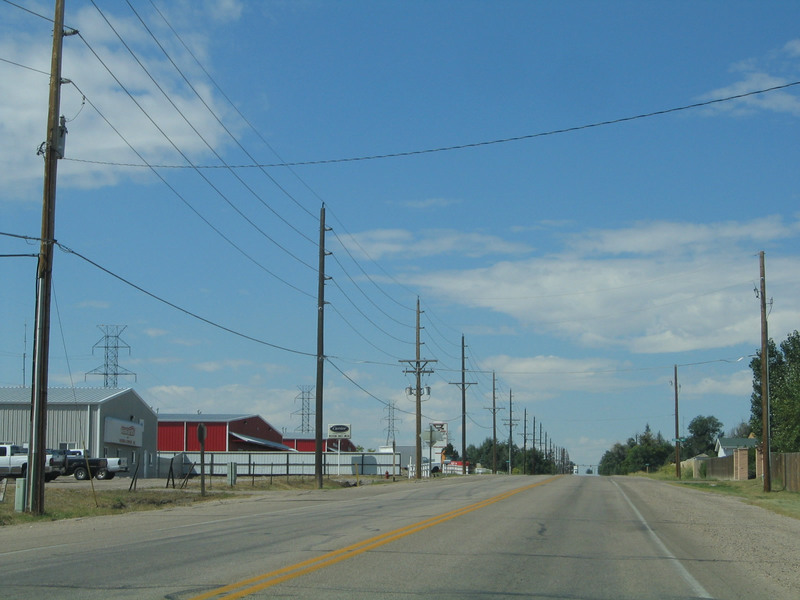 Fox Farm Road is a two-lane highway that connects South Greeley Highway with College Drive on an alignment parallel to Interstate 80. The road serves south Cheyenne. Photo taken 09/06/05. Eastbound Wyoming 221/Fox Farm Road reaches a four-way stop at Morrie Street. Turn left to follow Morrie north to 5th Street, 9th Street, and Nationway north of Interstate 80. Photo taken 09/06/05. 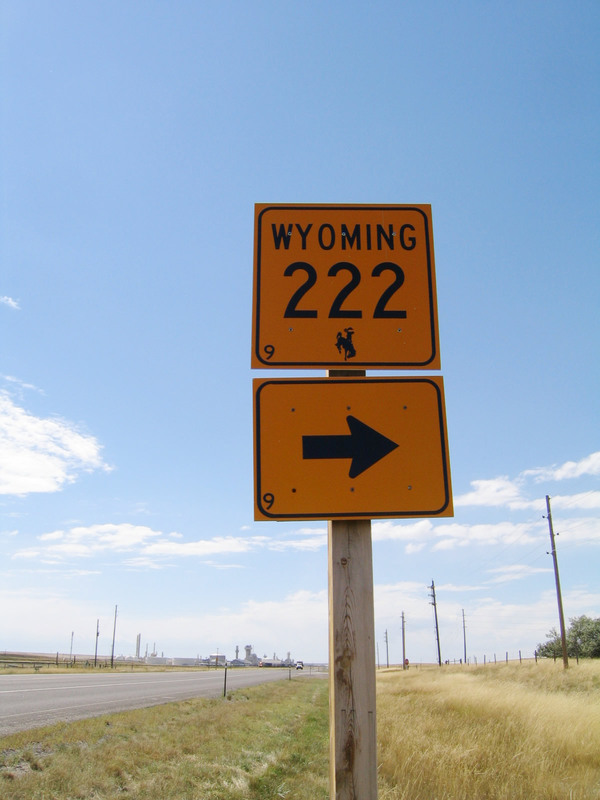 Wyoming 221 was decommissioned from the state highway system in 2009, and all signage was removed thereafter. When we visited in 2005, this state route was still active, and signs were still in place along this 1.84-mile long route. This picture shows the view along westbound Wyoming 221/Fox Farm Road after Morrie Street. Photo taken 09/06/05. Fox Farm Road is mostly a two-lane street with residential access and wide shoulders. Photo taken 09/06/05. Westbound Wyoming 221/Fox Farm Road approaches U.S. 85 (and Business Loop I-25 and Business U.S. 87), South Greeley Highway/Central Avenue. Photo taken 09/06/05. 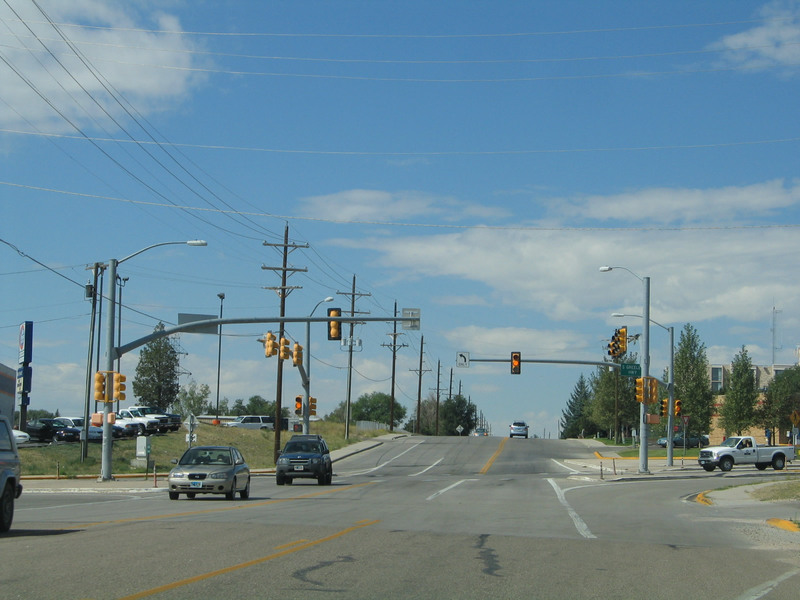 Wyoming 221 ended here at this traffic signal, where Fox Farm Road meets South Greeley Highway/Central Avenue. Photo taken 09/06/05. 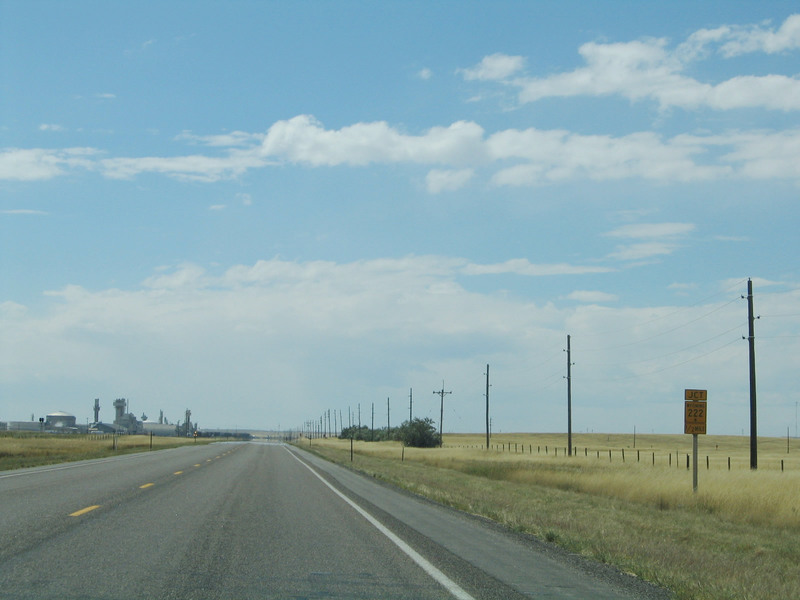 Otto Road is the old Lincoln Highway alignment that follows the Union Pacific Railroad for about ten miles between Interstate 25 and the Otto Road exit on Interstate 80. The entire route is two lanes. 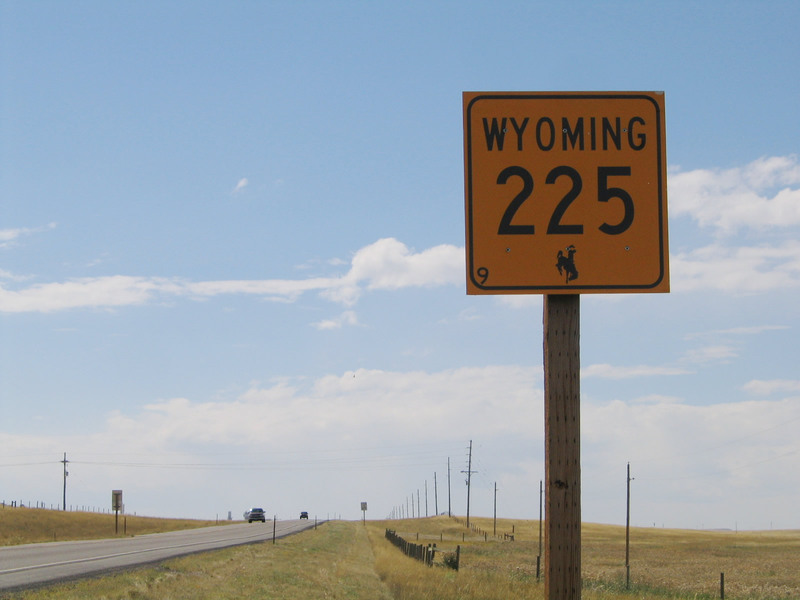 Follow Wyoming 225/Otto Road west to meet Interstate 80/U.S. 30 en route to Laramie. 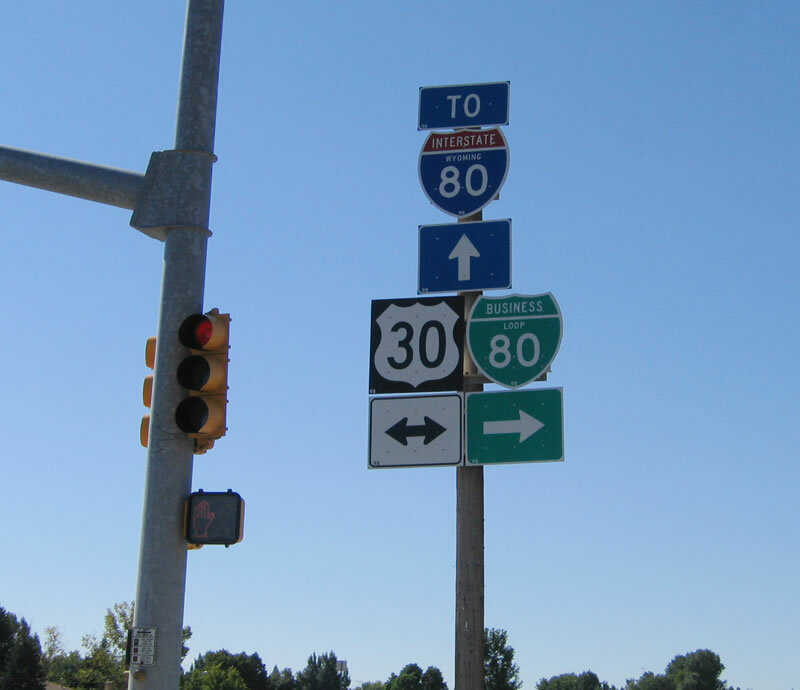 The green guide sign shown in 2005 was replaced with a "To Interstate 80" trailblazer in 2006. Photos taken 08/11/14 and 09/06/05. This is the first reassurance shield for Wyoming 225 along westbound Otto Road. Photos taken 08/11/14 and 09/06/05. This view looks west along Wyoming 225/Otto Road between Interstate 80 and the intersection with Wyoming 222/Roundtop Road. Photo taken 08/11/14. The next major intersection along Wyoming 225/Otto Road (Historic Lincoln Highway) is with Wyoming 222/Roundtop Road. An interchange between Interstate 80 and Wyoming 222 was added in the late 2000s to accommodate a large Wal-Mart distribution center located north of the interchange. Photo taken 09/06/05. Westbound Wyoming 225/Otto Road meets Wyoming 222/Roundtop Road. Photo taken 09/06/05. Wyoming 225 is a fairly empty road, with low traffic counts west of Wyoming 222/Roundtop Road. Photo taken 09/06/05. 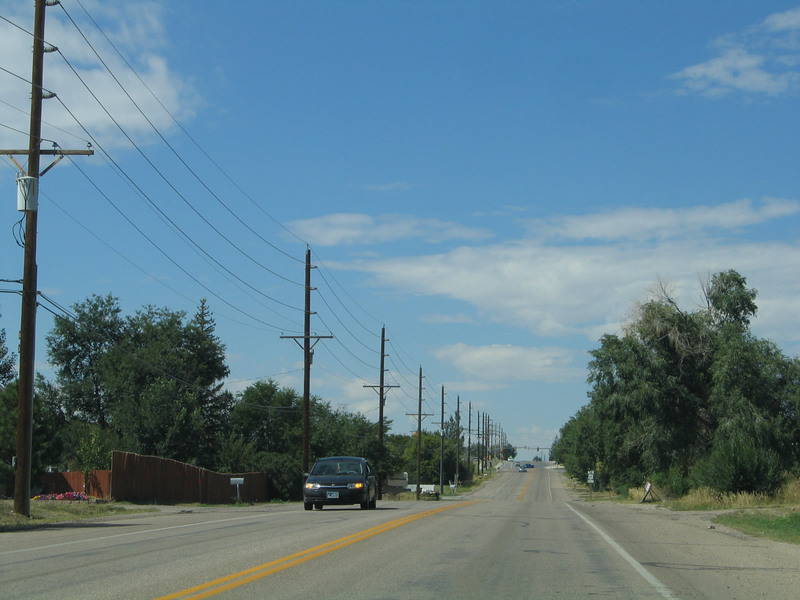 A 345kV, single-circuit power line crosses over Wyoming 225/Otto Road. Photo taken 09/06/05. Two branches of the Union Pacific Railroad follow Otto Road briefly after the Wyoming 222 intersection. Photo taken 09/06/05. One branch of the railroad heads south toward Speer Junction, while the westbound railroad continues to follow Otto Road toward Laramie. Photo taken 09/06/05. Not many relics of the old Lincoln Highway remain on Otto Road; the highway looks like any other rural road through here. Access to ranching and county roads is available from Otto Road. Photo taken 09/06/05. Westbound Wyoming 225/Otto Road approaches its junction with Interstate 80 and U.S. 30 some ten miles west of Cheyenne. Photo taken 09/06/05. At the western end of Wyoming 225, the state route meets Interstate 80 and U.S. 30 at a diamond interchange. 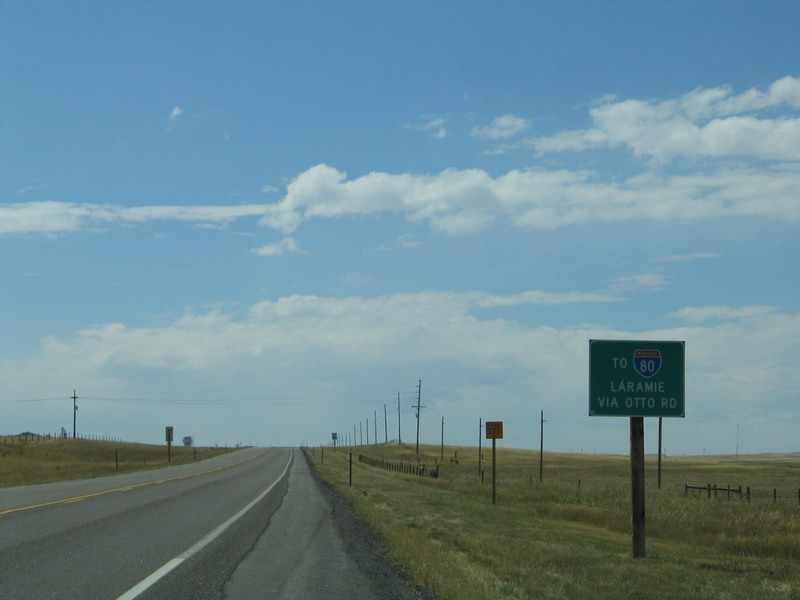 Follow Interstate 80 west to Laramie and east to Cheyenne. Between here and the Vedauwoo Road interchange, only short extant sections of the old Lincoln Highway remain, many of which are not passable and located on private property. Another traversable section of old U.S. 30/Lincoln Highway is located west of here, where it connects Vedauwoo Road with Sherman Hill. Photo taken 09/06/05. 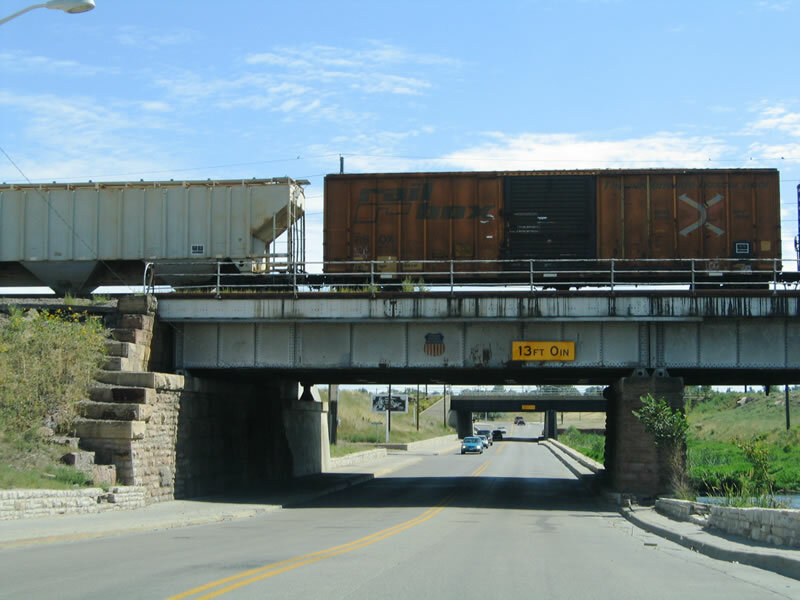 South of Lincolnway, Ames Avenue passes under a pair of viaducts to avoid the Union Pacific Railroad. Photo taken 09/06/05. Once south of the viaduct, Ames Avenue meets Deming Drive. Follow Deming Drive southeast to the residential neighborhoods served by Ninth Street, Fifth Street, and First Street. Photo taken 09/06/05. 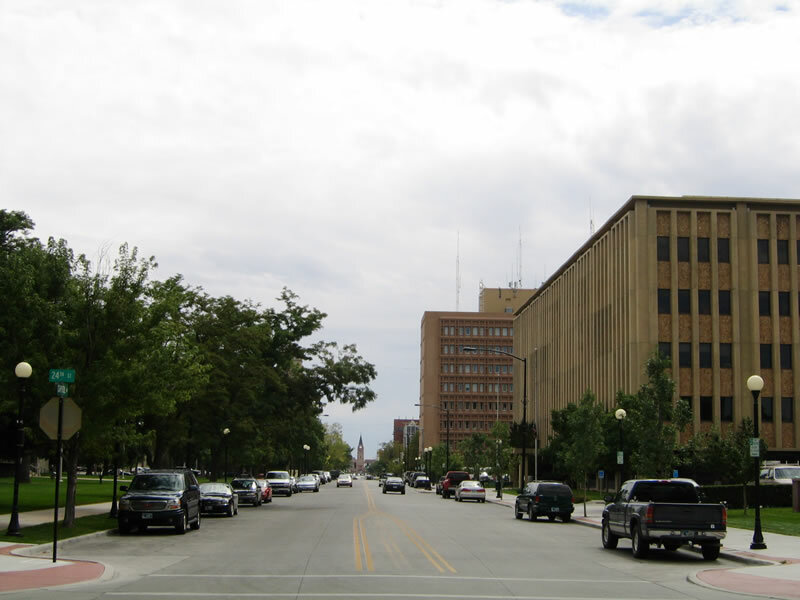 This view looks north along Capitol Avenue from near the Cheyenne Railroad Depot toward the Wyoming State Capitol. Photo taken 08/15/13. 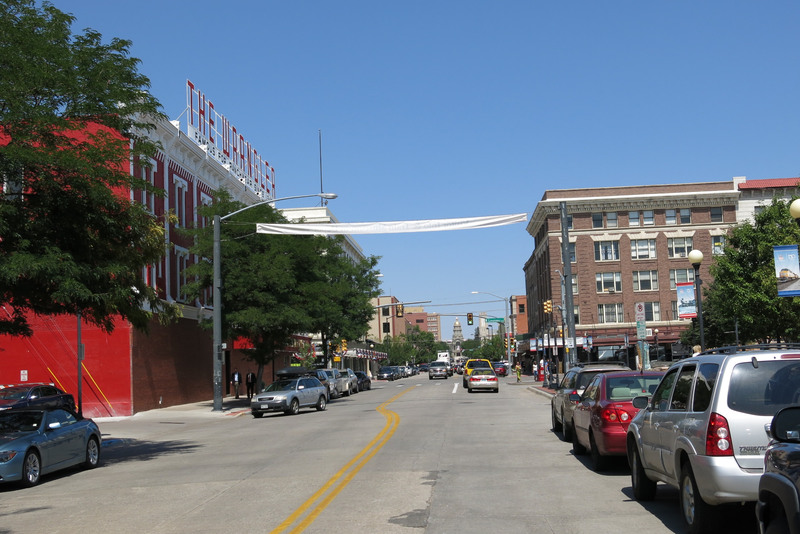 Capitol Avenue travels nine blocks between 15th Street and 24th Street one block west of Central Avenue (southbound Business Loop I-25, U.S. 85, and Business U.S. 87). 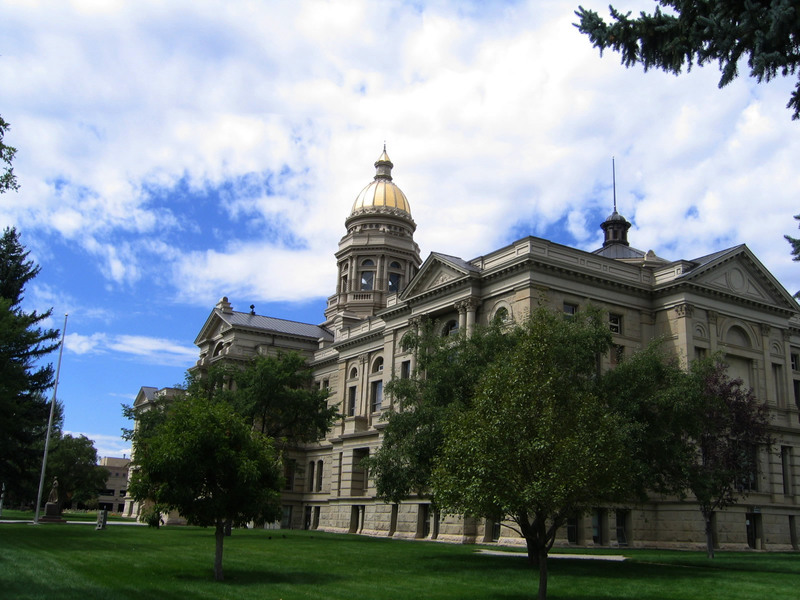 At the intersection of Capitol Avenue and 24th Street is the Wyoming state capital building. The state capitol occupies four blocks, and Capitol Avenue resumes in a northwesterly direction at 26th Street. Here, northbound Capitol Avenue reaches Lincolnway (Business Loop I-80 and U.S. 30 or 16th Street). Photo taken 09/06/05. Continuing north from Lincolnway, the state capitol is visible at the north end of Capitol Avenue. Photo taken 09/06/05. Now at the north end of Capitol Avenue at 24th Street, this is the view looking south toward downtown Cheyenne. Photo taken 09/06/05. 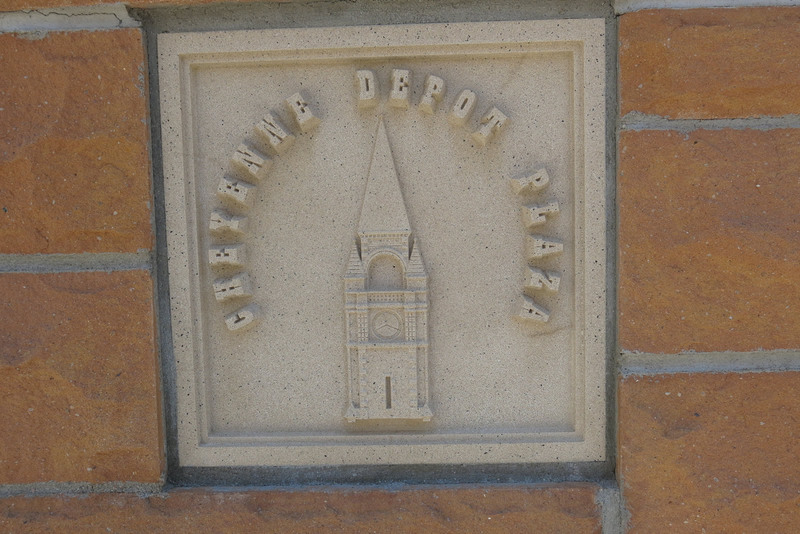 The Cheyenne Railroad Depot Plaza is located south of Lincolnway, east of Capitol Avenue, west of Central Avenue (Interstate 180 and U.S. 85), and north of the Union Pacific Railroad tracks. 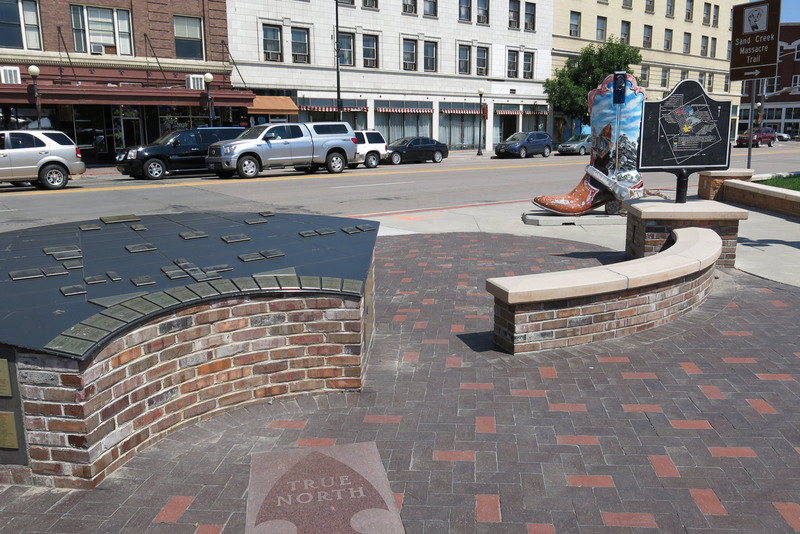 This small plaza is packed with historical markers about the city's railroad history as well as several maps and artworks that showcase Western history. Photos taken 08/15/13. 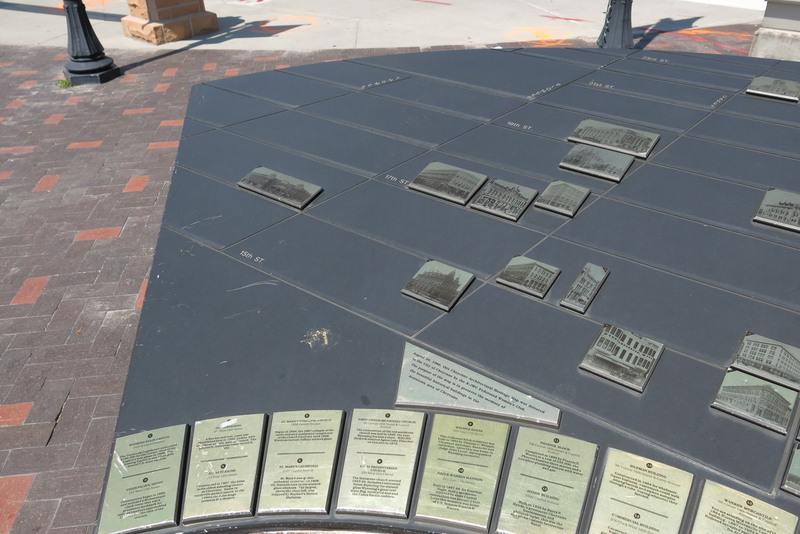 This plaque, which is located at the frontier park adjacent to the railroad depot, shows the original intended outline of the city of Cheyenne as envisioned by General Greenville Dodge when the city was founded on July 4, 1869. 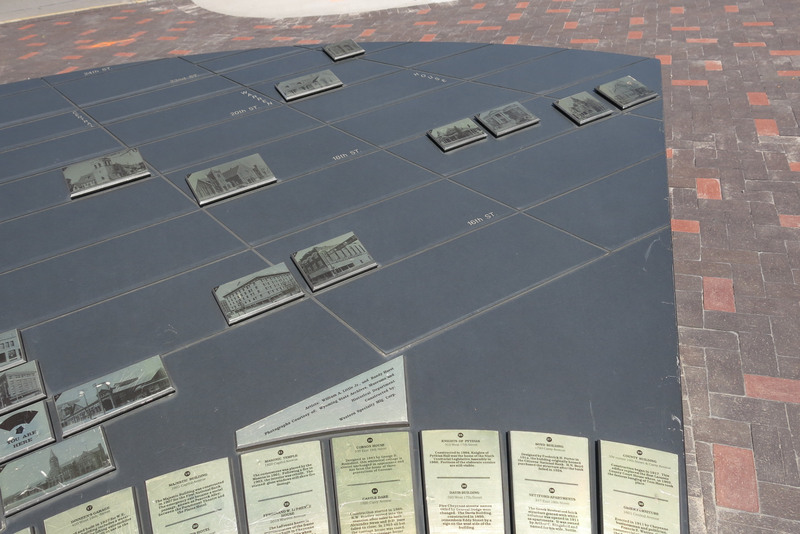 Originally, the four square mile was conceived on a northwest to southeast orientation rather than a north-south/east-west orientation in order to maximize exposure to the sun in the cold winter months. 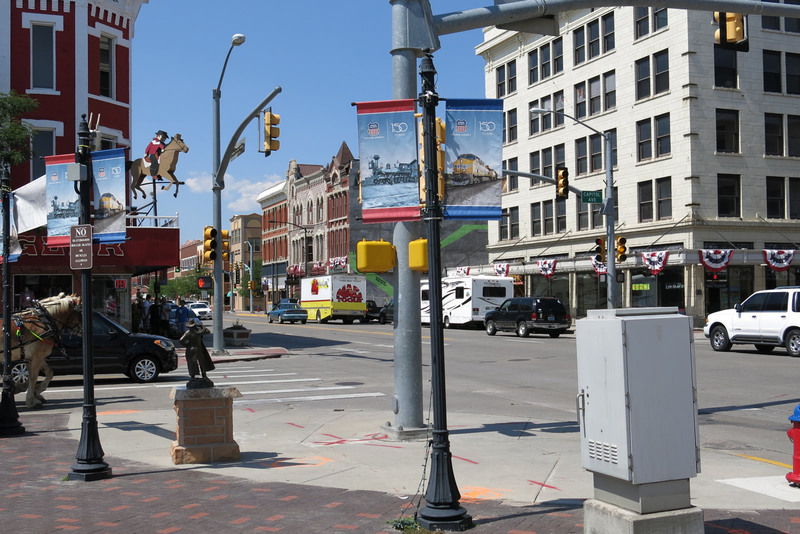 With the growth of the city, the boundaries of Cheyenne have grown vastly beyond General Dodge's original boundaries. 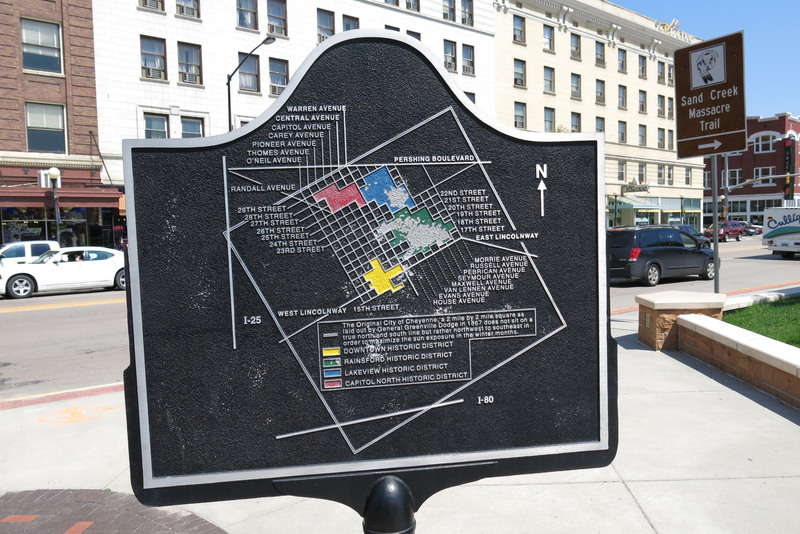 The colors on the map show the original historical districts: Downtown, Rainsford, Lakeview, and Capitol. Many older houses are located in these areas, some that date back to the turn of the 20th Century. Photo taken 08/15/13. 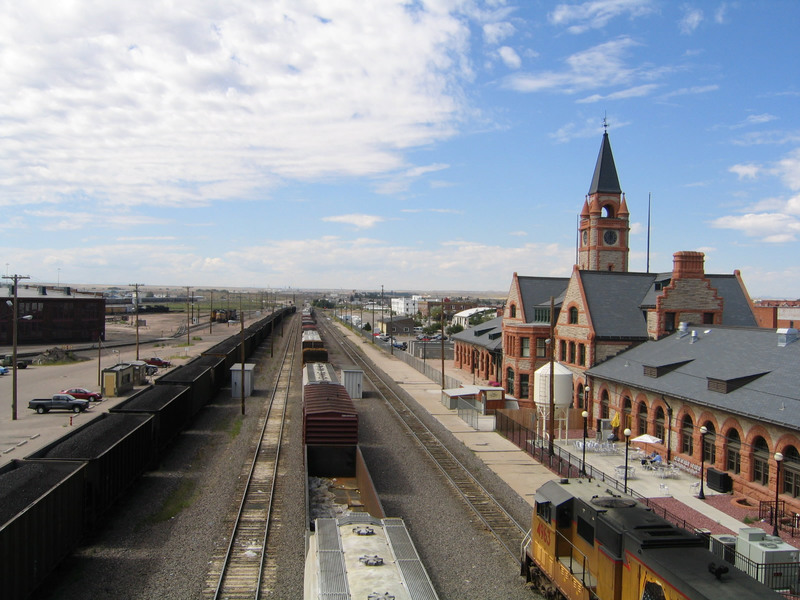 A vistors center, restaurant, and the Cheyenne Depot Museum are located in the historic depot, which was donated to the city of Cheyenne by the Union Pacific Railroad in 1993. 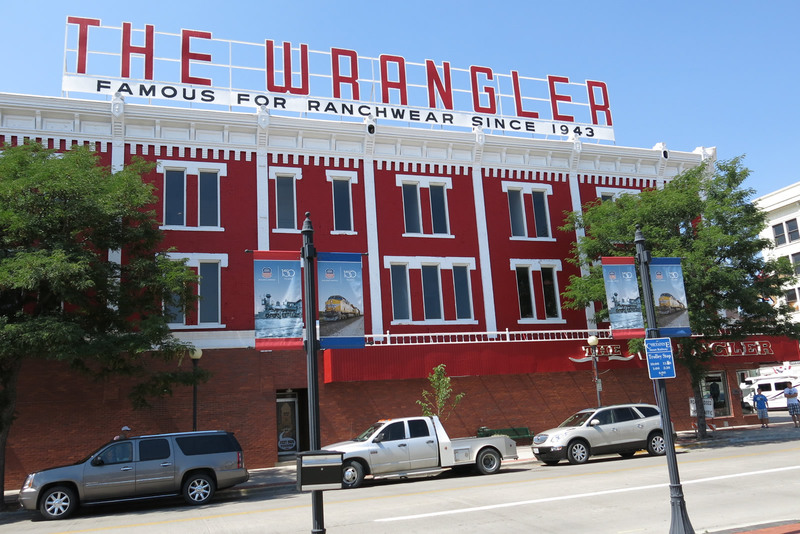 These facilities opened after an extensive renovation of the depot, making it into a top destination and local landmark in Cheyenne. 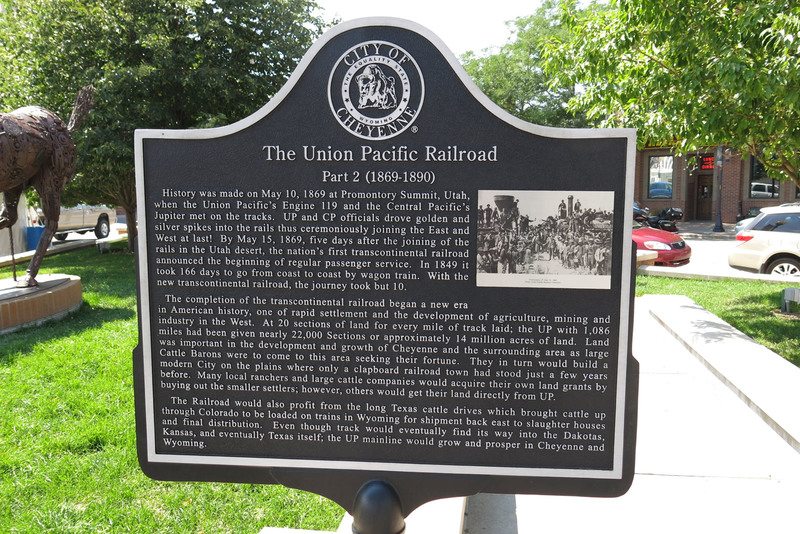 The museum specializes in railroad transportation history and features a viewing area of the adjacent Union Pacific Railroad yard. Photo taken 08/15/13. 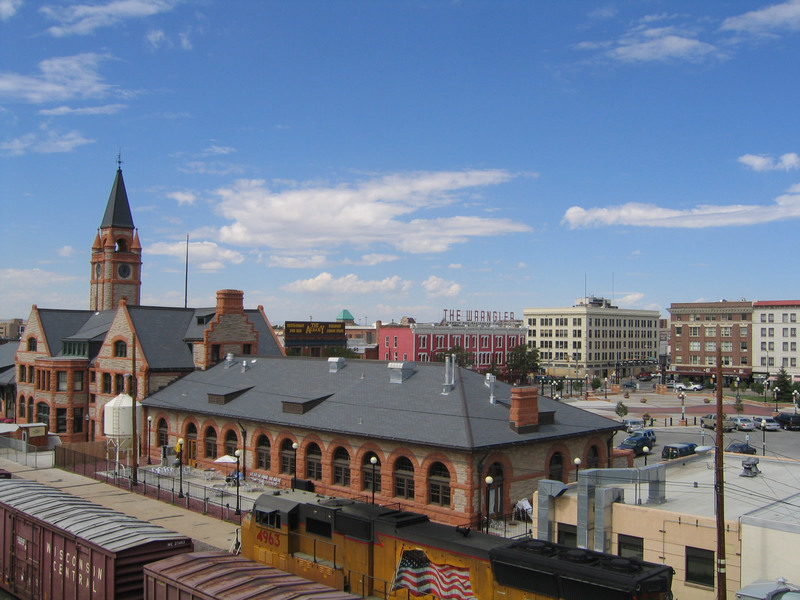 This view of the depot plaza is afforded from the Interstate 180 viaduct over the Union Pacific Railroad yard. Photo taken 09/07/05. 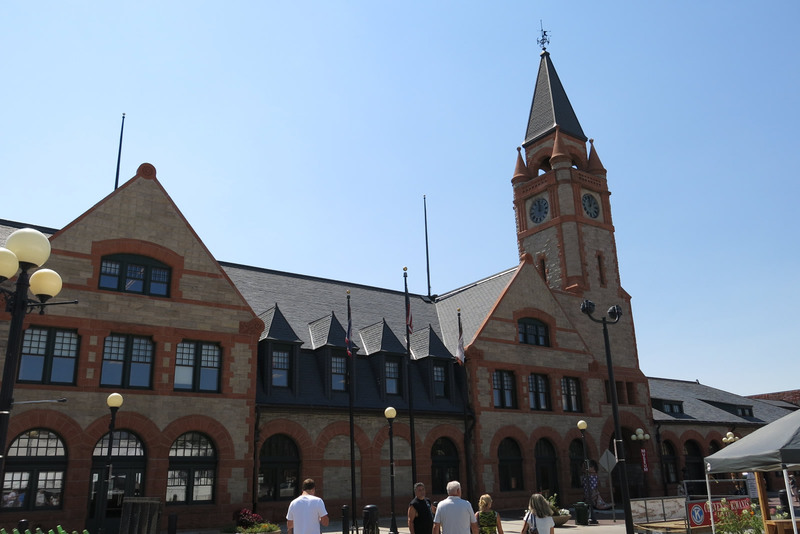 The historic railroad depot building anchors the Cheyenne Railroad Depot Plaza. 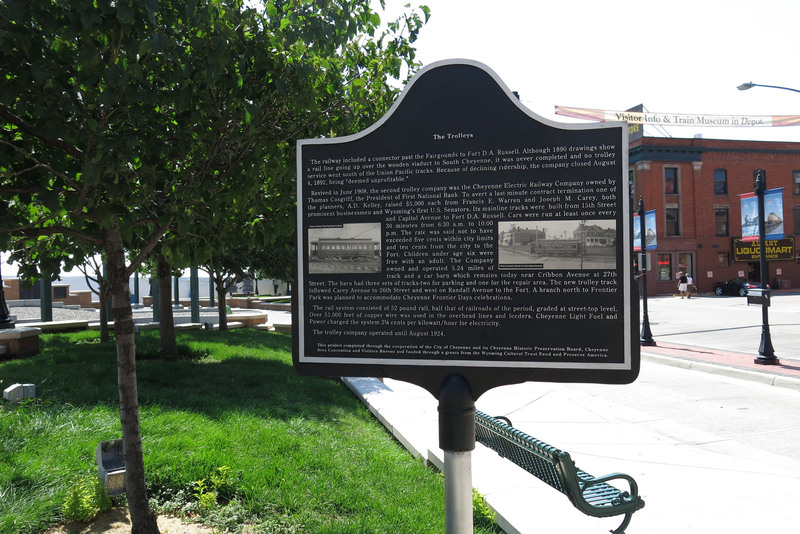 Just south of the depot lies the railroad tracks, while the plaza sits between the depot and Lincolnway. Photos taken 09/07/05. 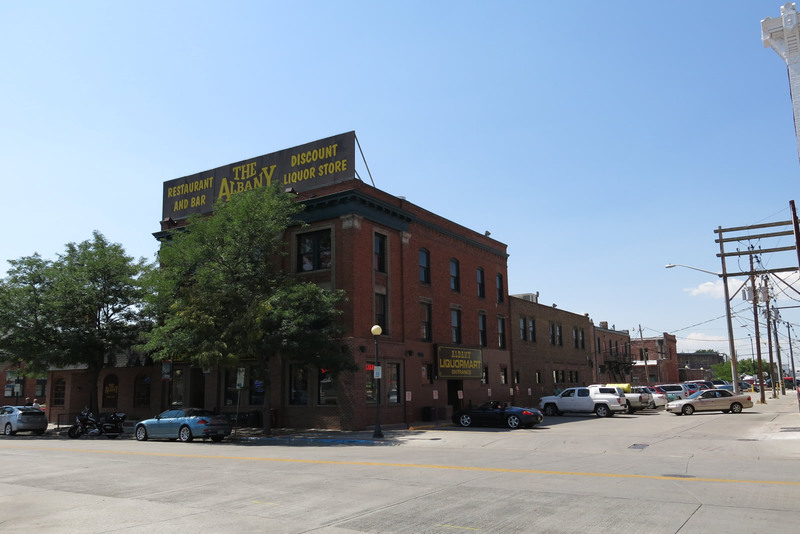 Logan Avenue originates at Fifth Street, travels north over the Norris Viaduct (over the Union Pacific Railroad) and then angles northwest toward Pershing Boulevard. 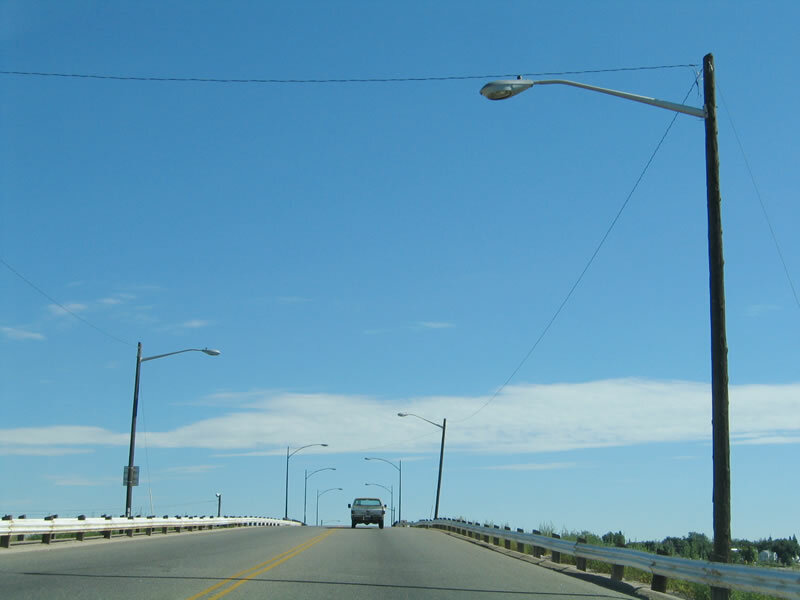 The Norris Viaduct was constructed in 1952 and is slated for replacement on an altered alignment along Alexander Avenue (for more, visit Norris Viaduct Replacement). The new viaduct will be wider (four lanes) and will facilitate traffic flow with 5th Street and Nationway/8th Street. 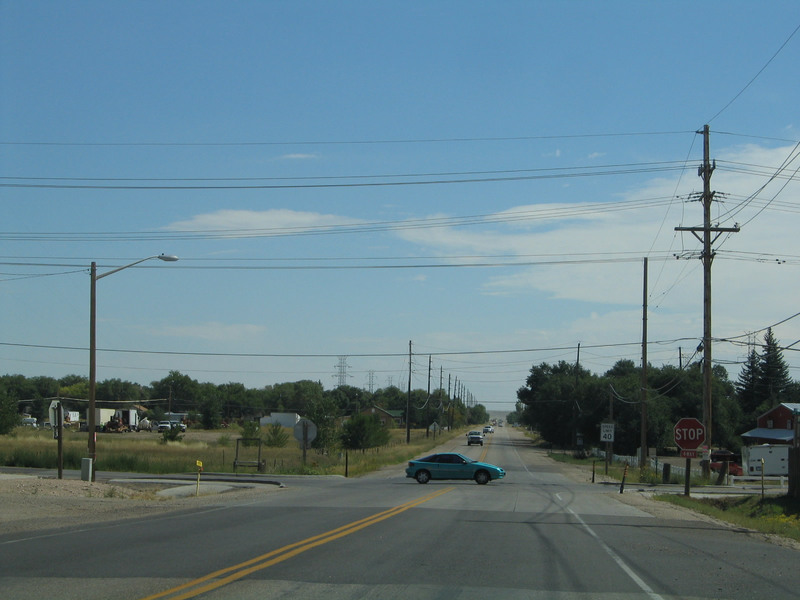 Logan Avenue forms the eastern boundary of the original city of Cheyenne as conceived by General Dodge, so the roads traveling west of Logan Avenue travel southwest to northeast. Photo taken 09/06/05. Upon reaching the base of the Norris Viaduct, Logan Avenue reaches Nationway, a major east-west arterial that skirts the northern edge of the city's lone oil refinery. Nationway starts at Lincolnway (Business Loop I-80 and U.S. 30) and travels southeast to 8th Street, then follows 8th Street east to Windmill Road, then travels northeast to meet Ridge Road, where it changes into 12th Street. The 1975 American Automobile Association map of Colorado and Wyoming's inset of Cheyenne showed Nationway as Alternate U.S. 30, perhaps as an interim route for through traffic while the modern Interstate 80 alignment was being built to the south. However, this designation does not appear in most other maps of this period. Photo taken 09/06/05. Logan Avenue travels in a north-northwesterly direction toward Lincolnway (Business Loop I-80 and U.S. 30). Photo taken 09/06/05. 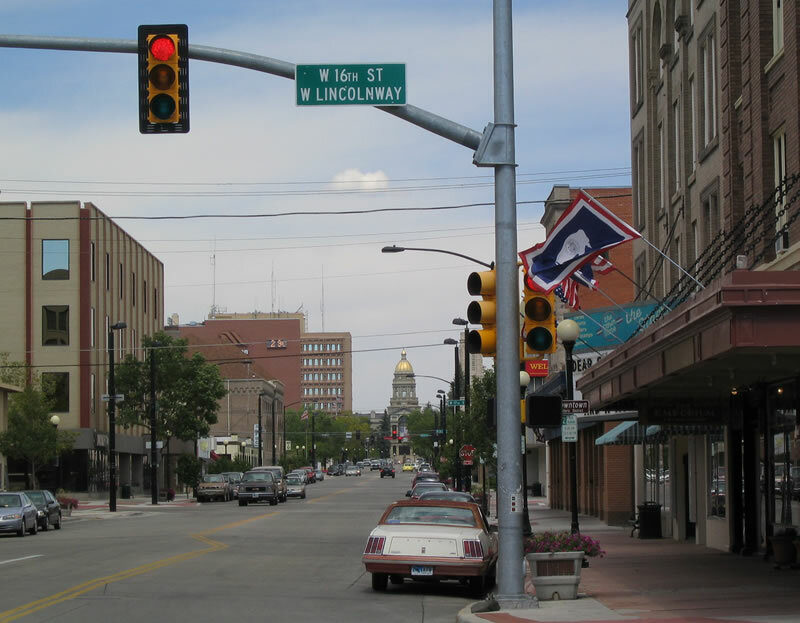 Pioneer Avenue travels north from Lincolnway (Business Loop I-80 and U.S. 30), passing through downtown Cheyenne on a one-way street alignment. Photo taken 09/06/05. 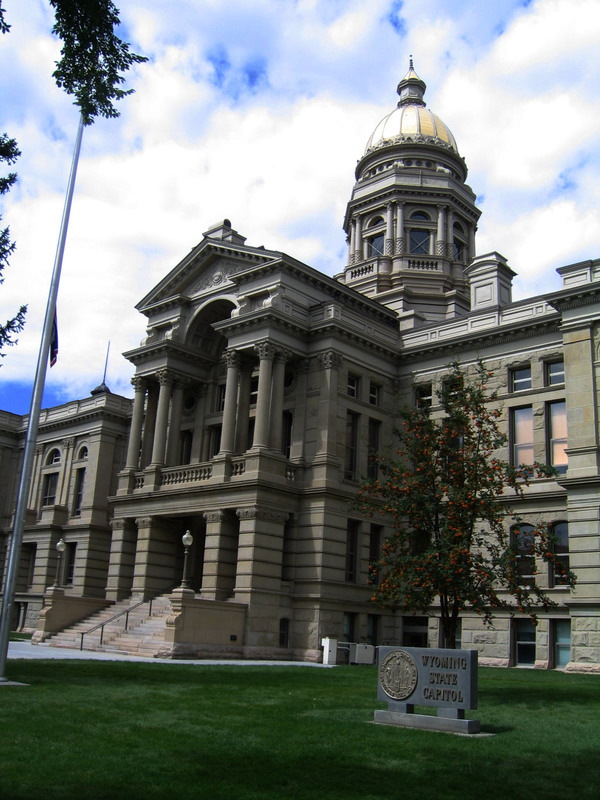 Wyoming's state capitol is located west of Central Avenue (southbound direction of Business Loop I-25, U.S. 85, and Business U.S. 87), north of 24th Street, east of Carey Avenue, and south of 26th Street. The capitol grounds are walkable with lawn surrounding the building and a gilded dome atop the middle. Photos taken 09/06/05. 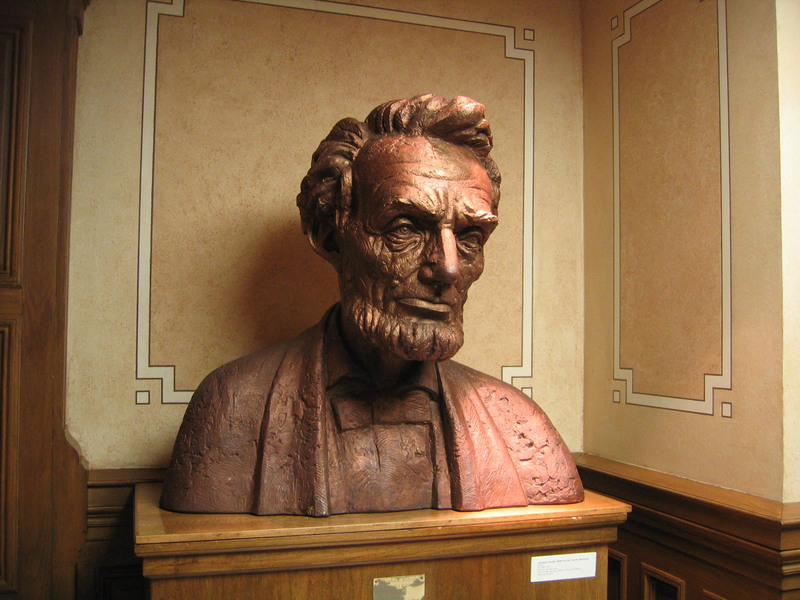 A bust of President Abraham Lincoln is located inside the Wyoming state capitol. This bust is similar to a much larger bust located at the Summit rest area along Interstate 80 at the top of Telephone Canyon at Sherman Hill (elevation 8,640 feet above sea level, the highest point on Interstate 80, U.S. 30, and the Lincoln Highway). Photo taken 09/06/05.